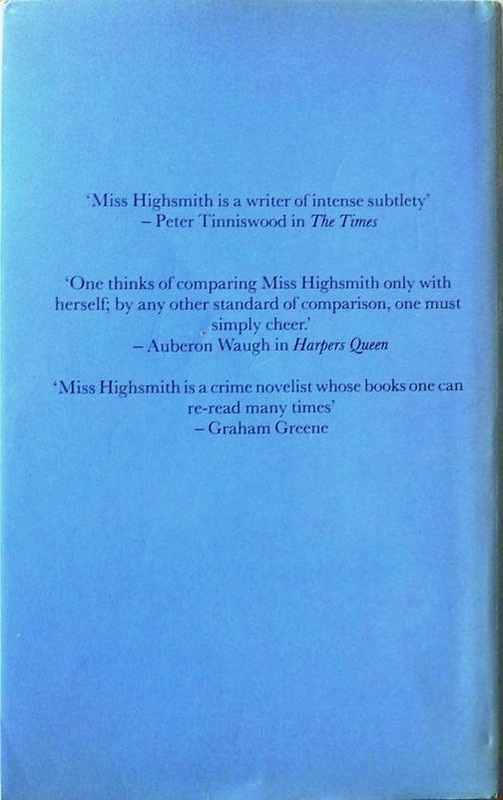 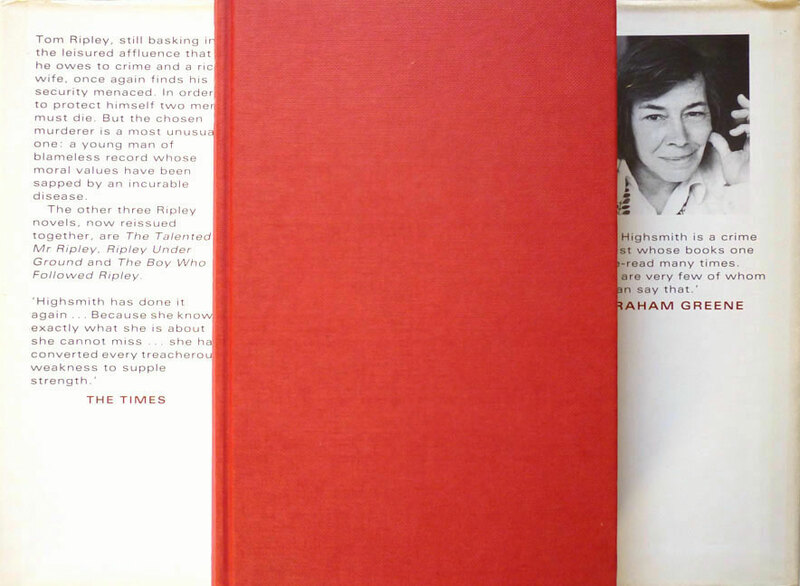 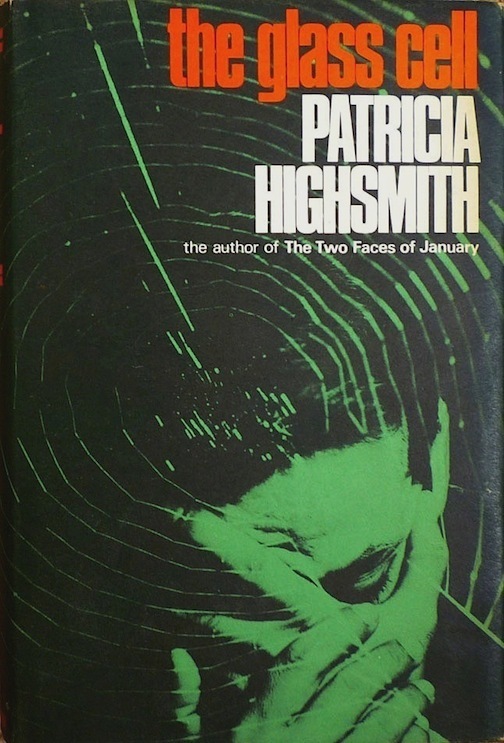 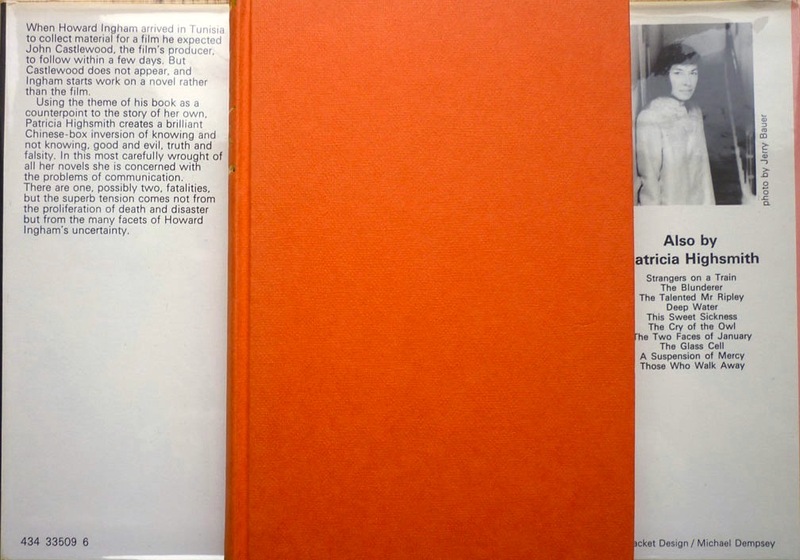 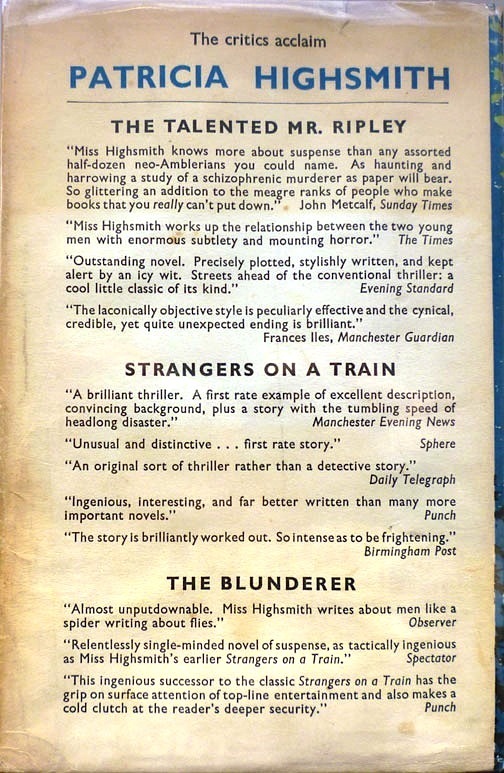 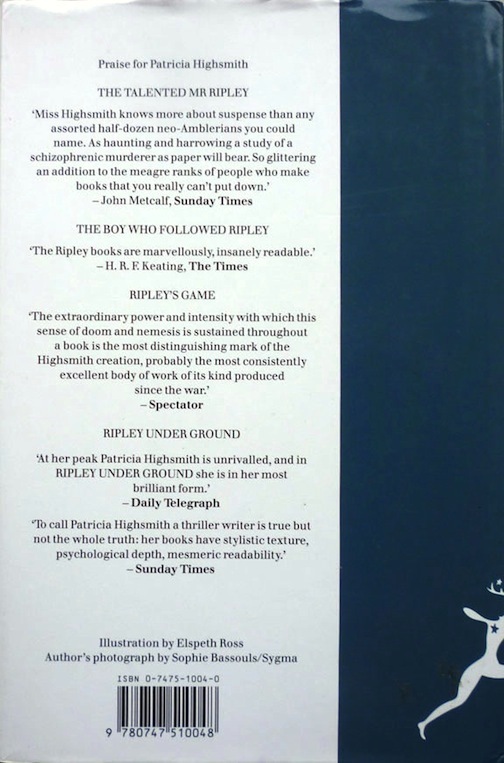 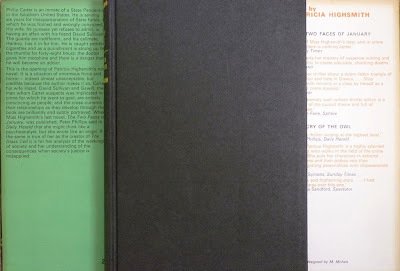 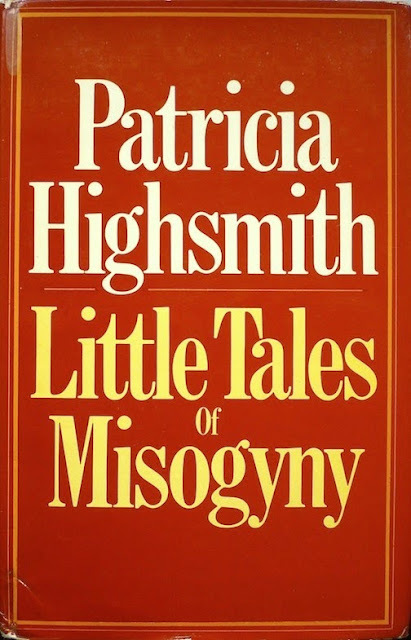 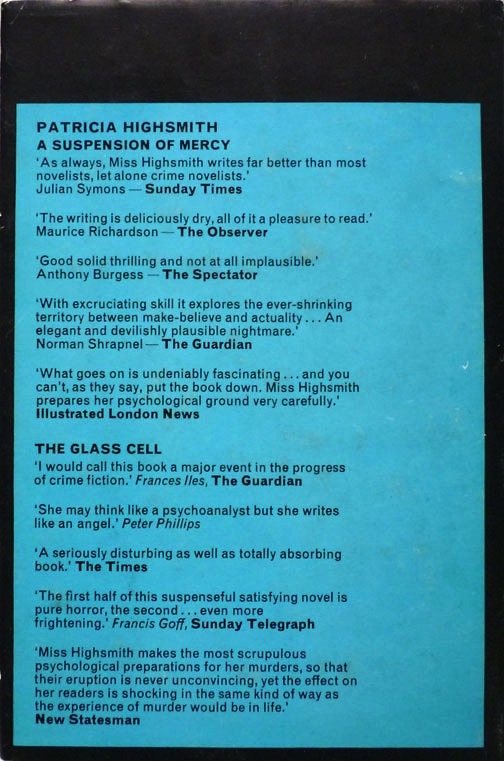 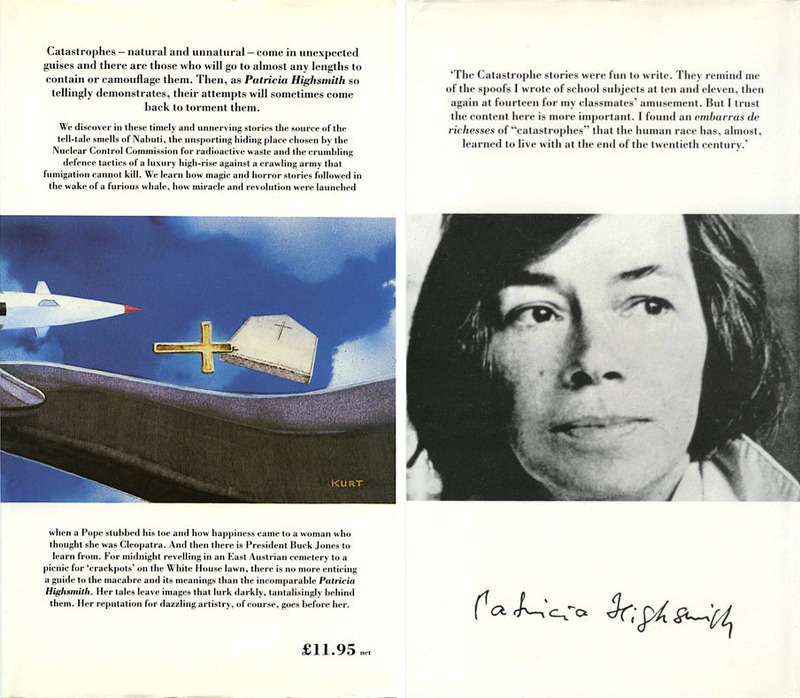 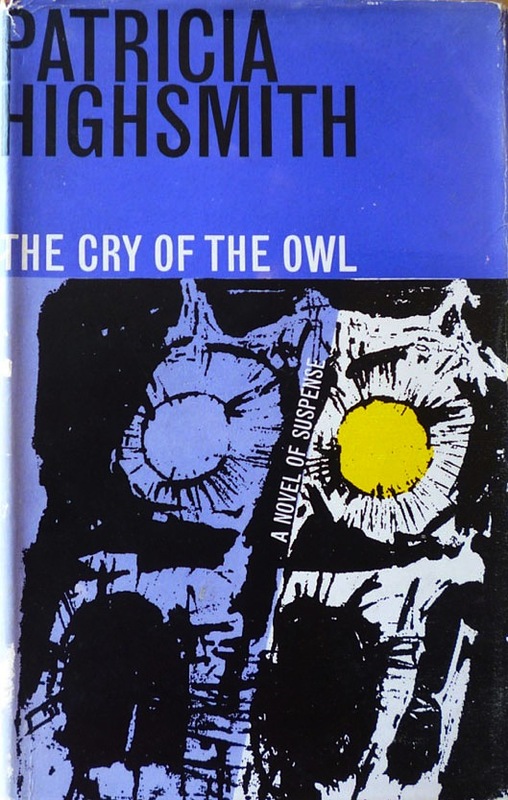 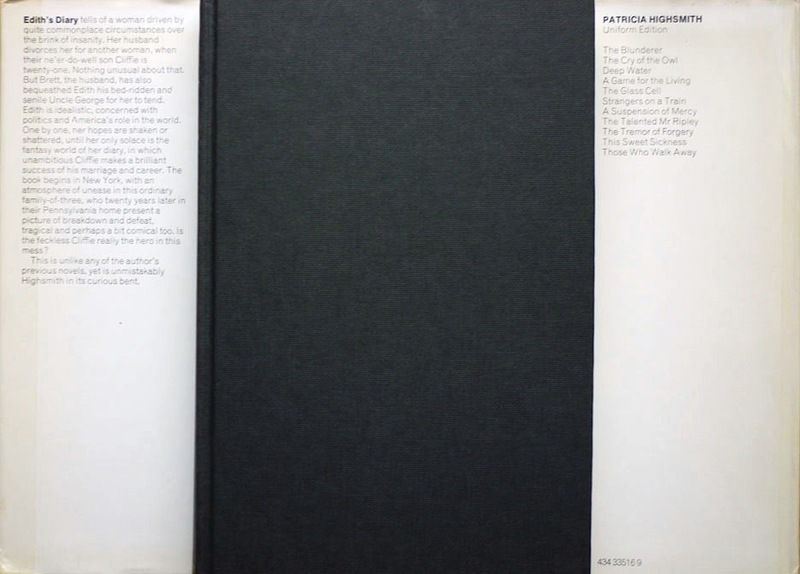 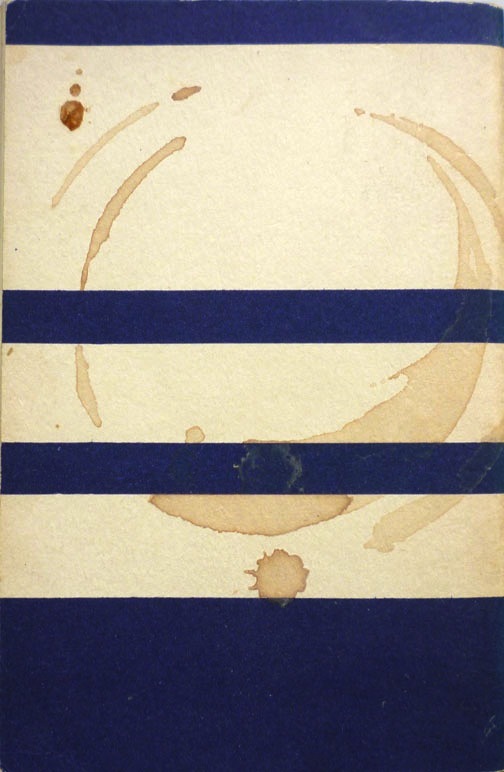 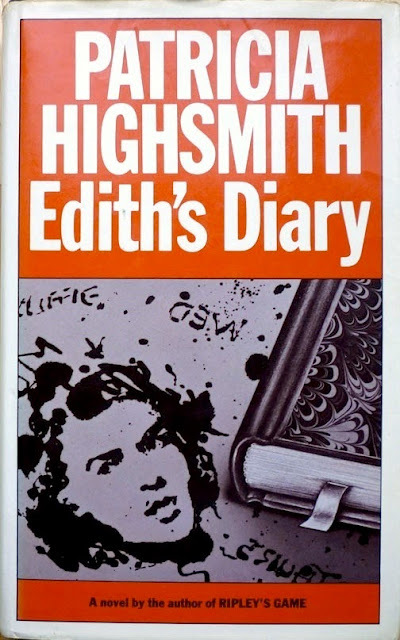 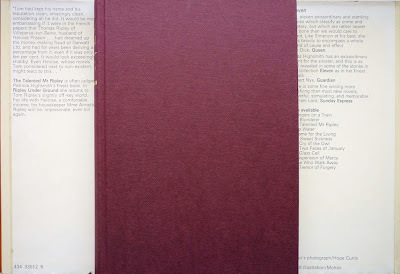 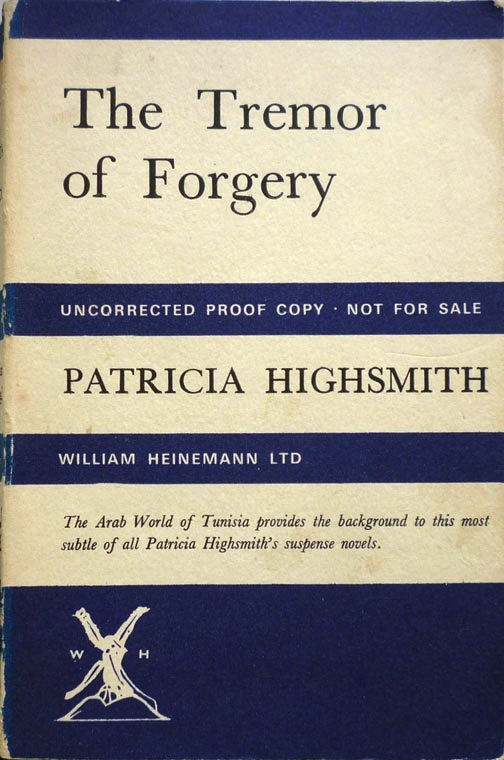 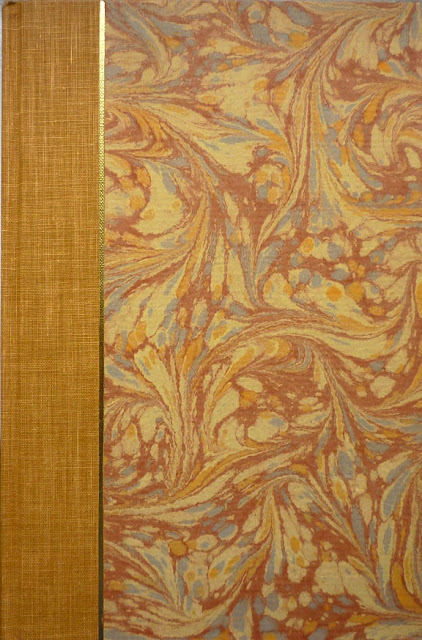 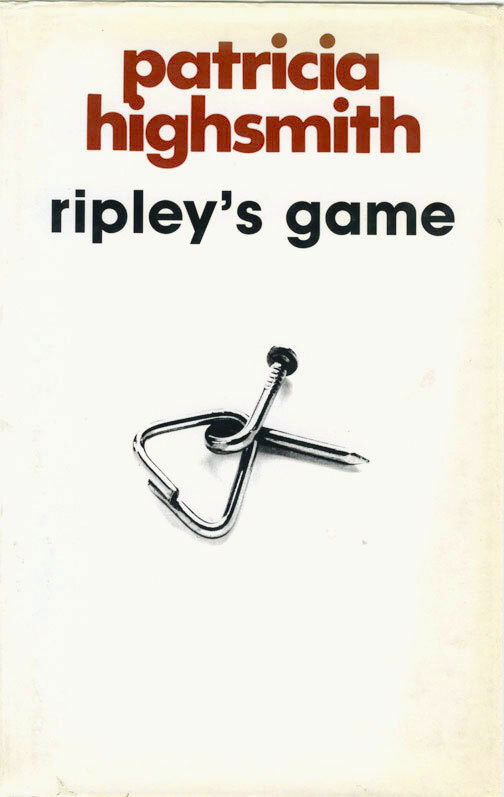 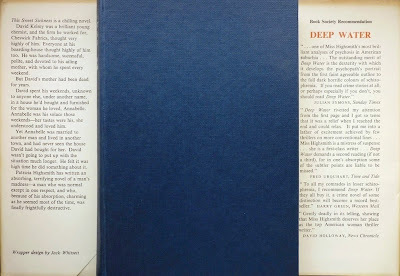 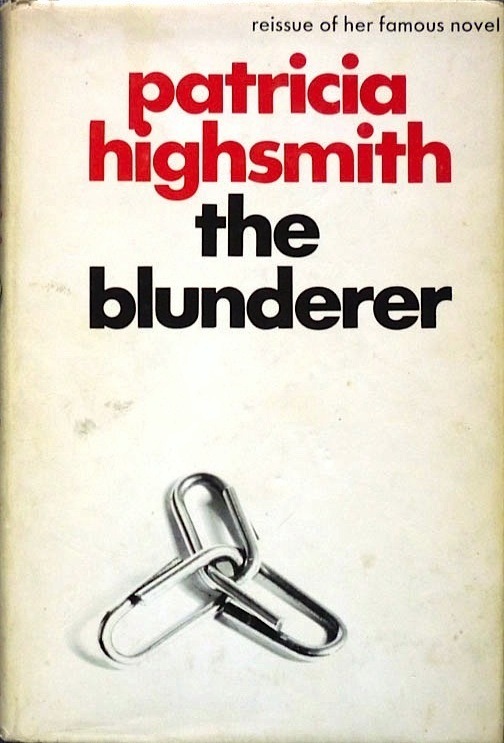 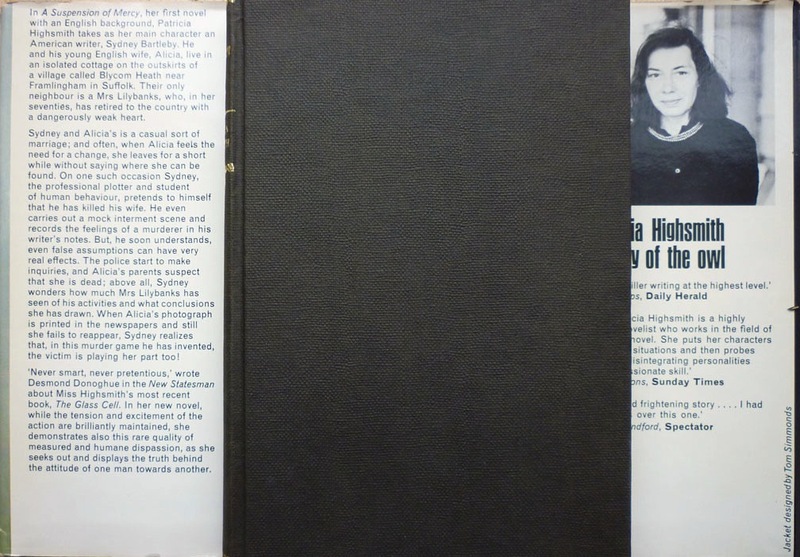 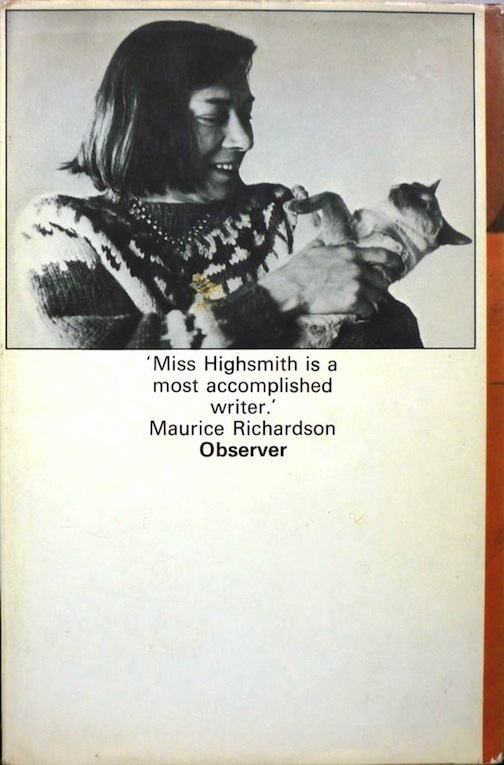 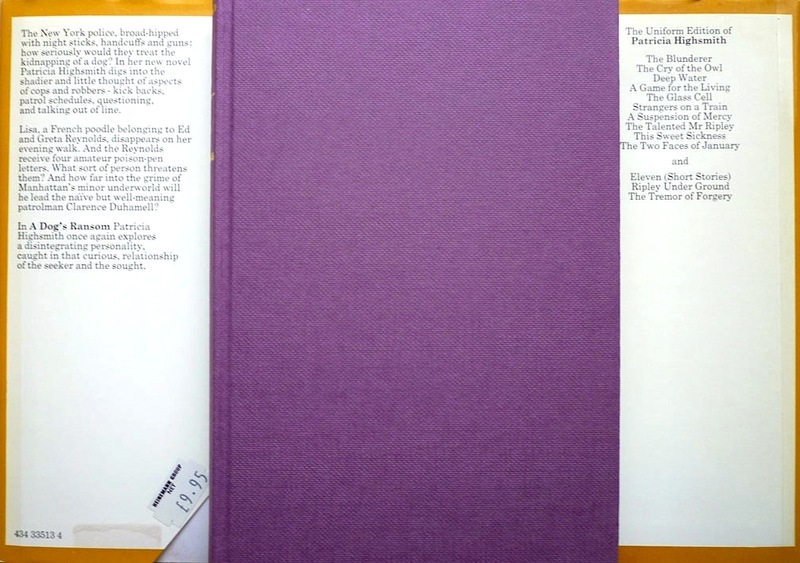 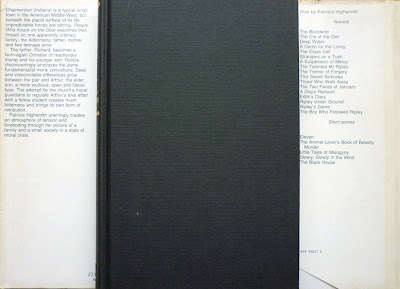 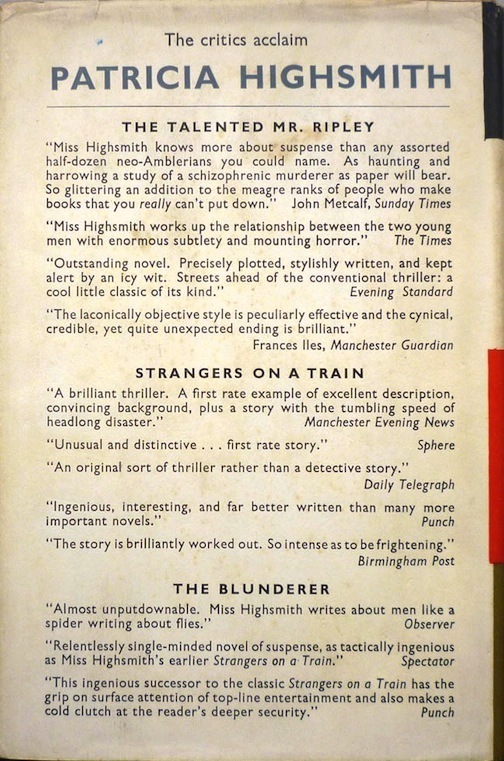 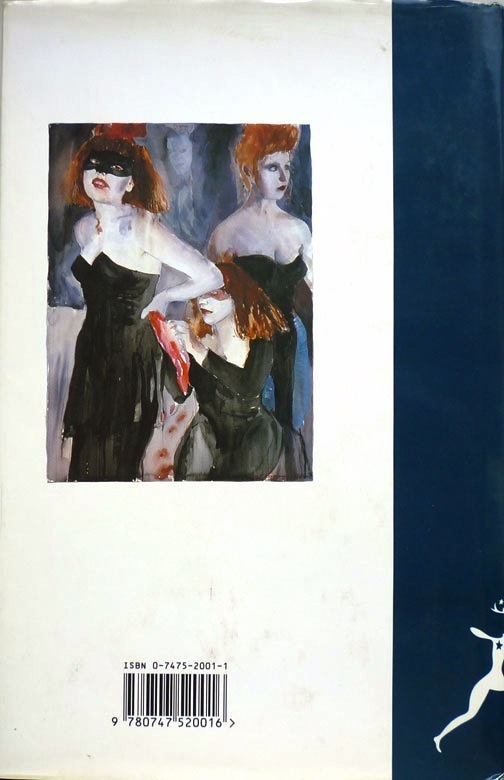 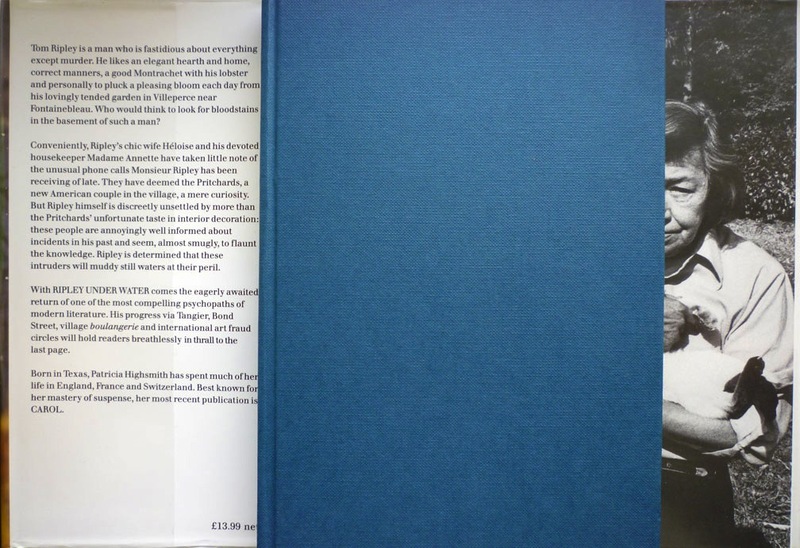 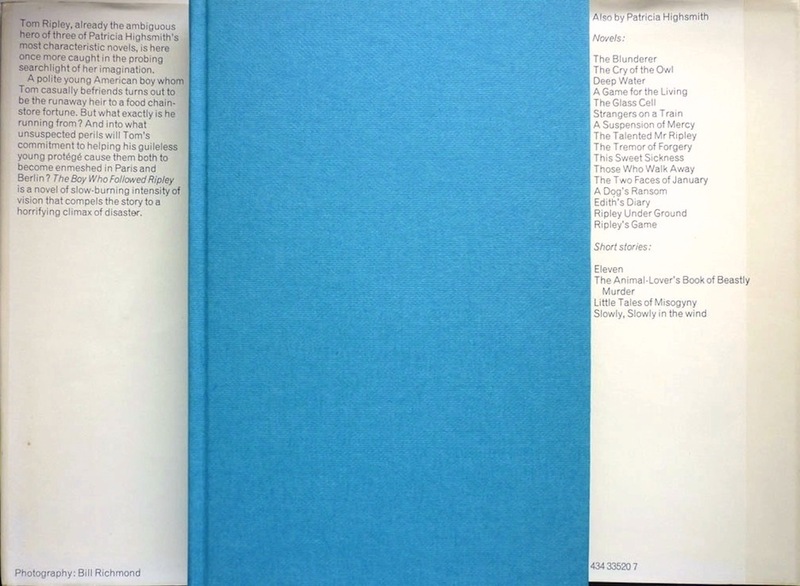 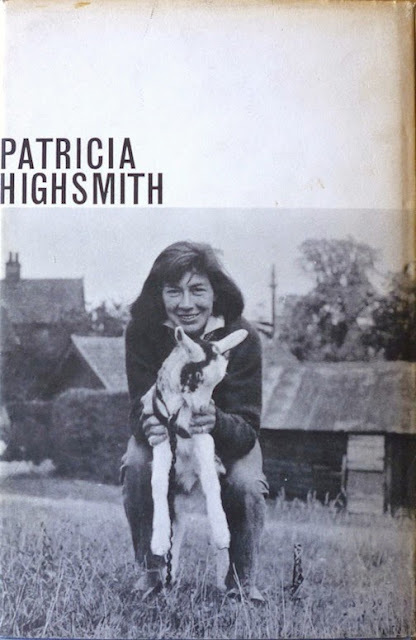 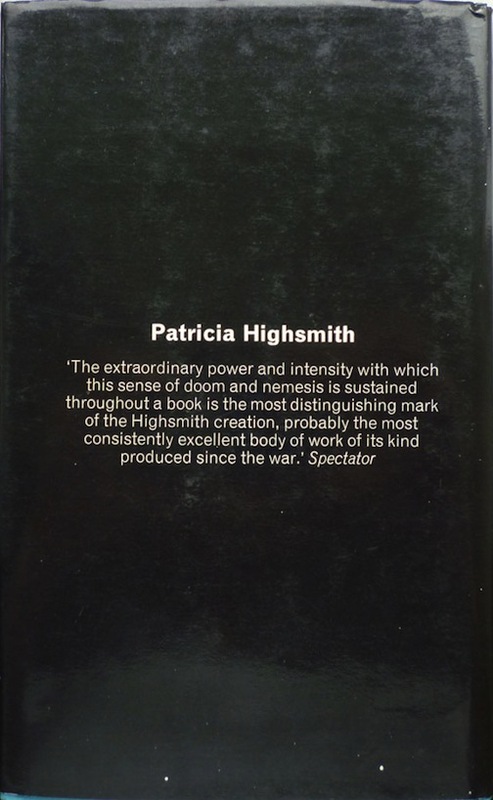 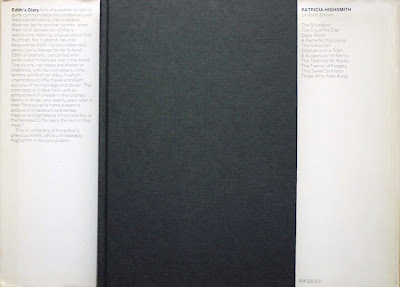 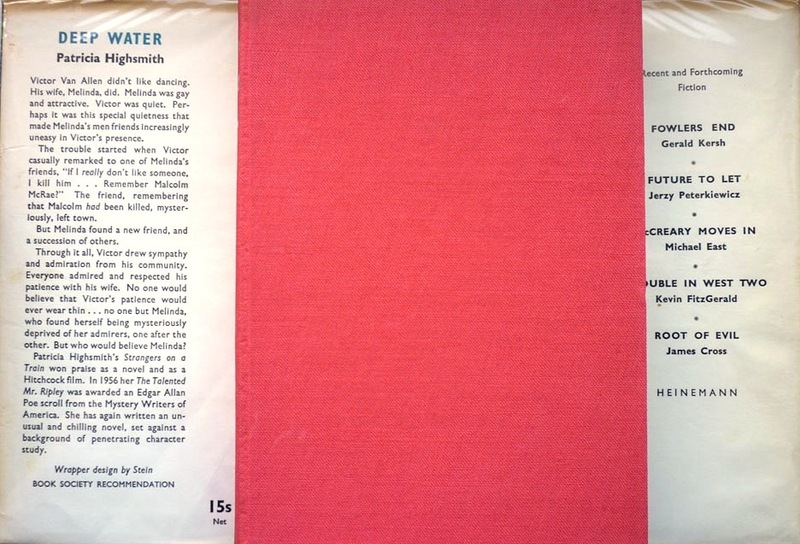 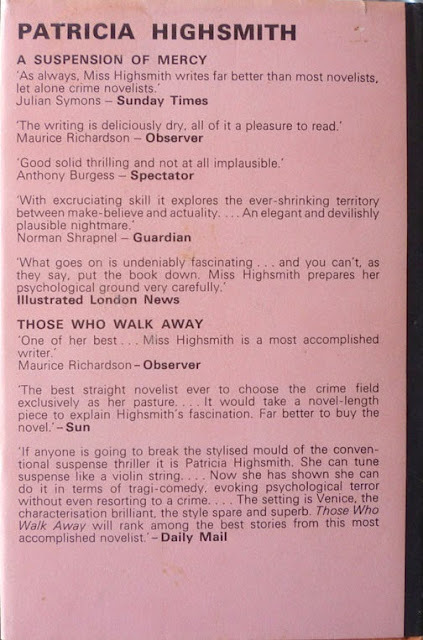 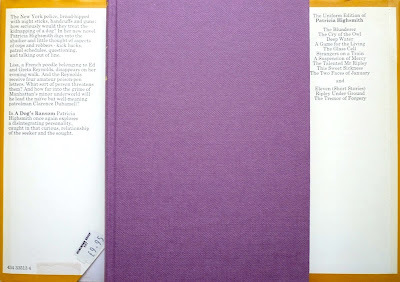 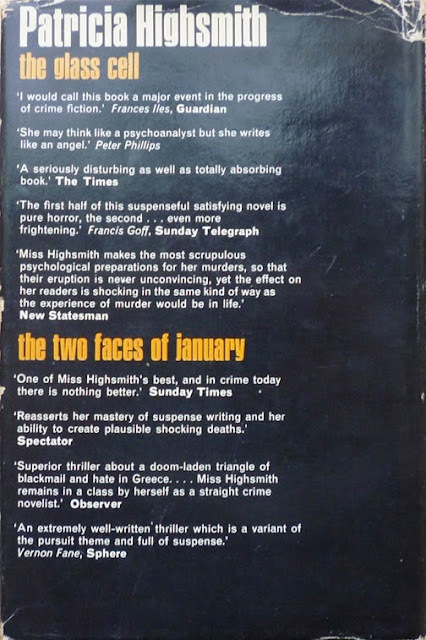 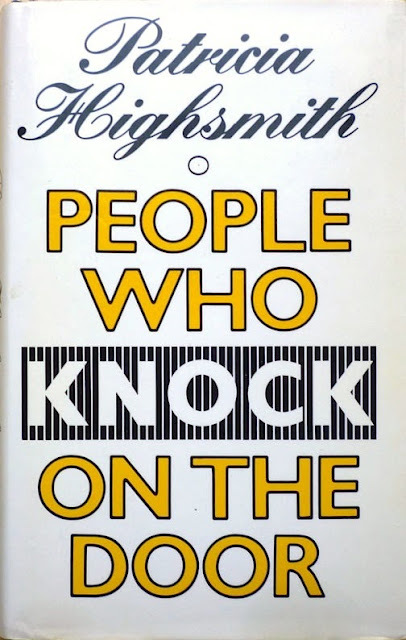 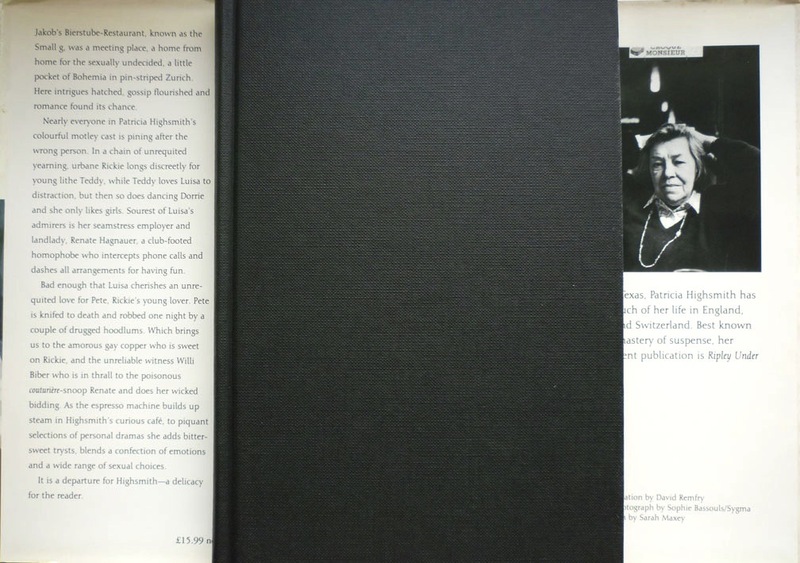 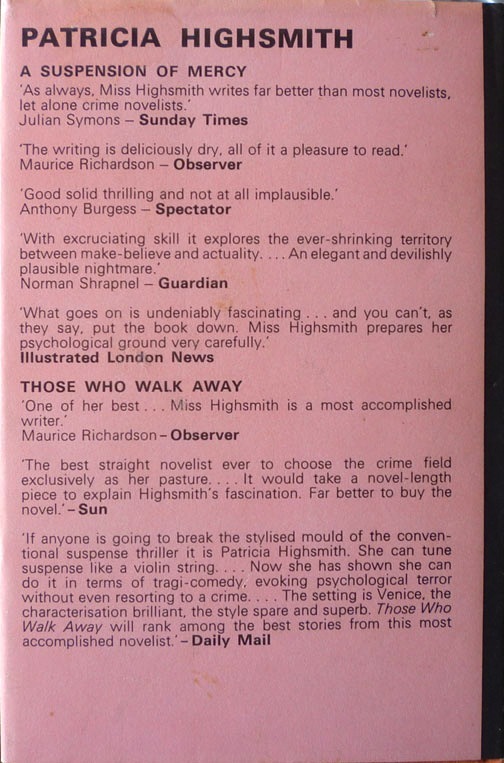 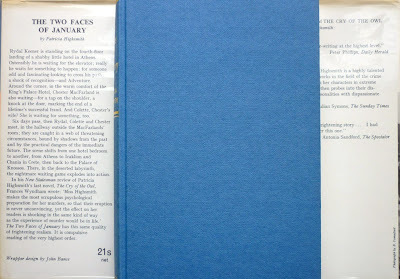 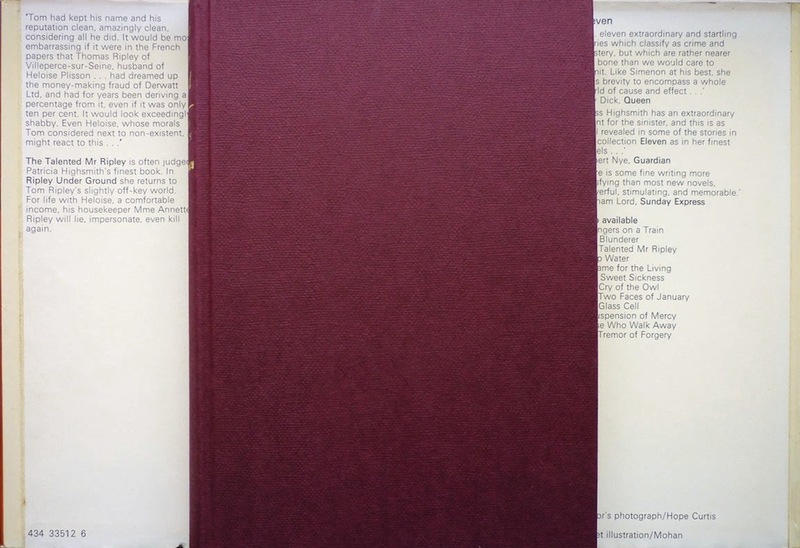 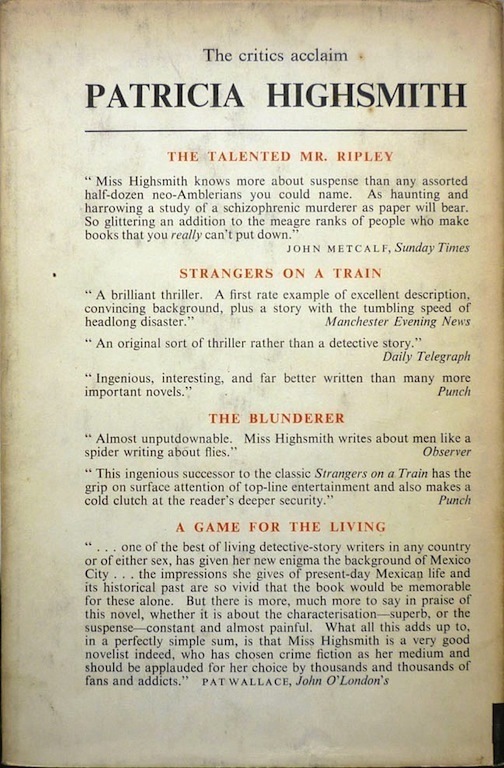 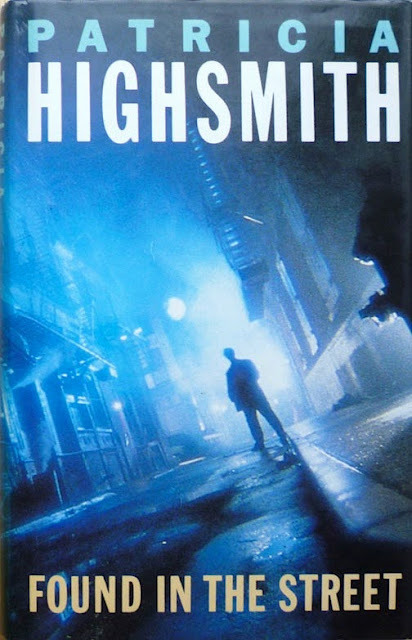 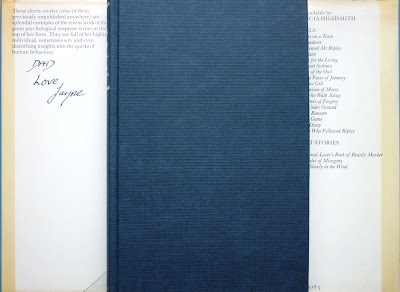 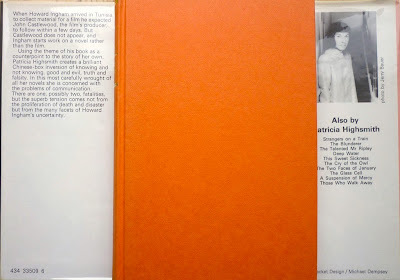 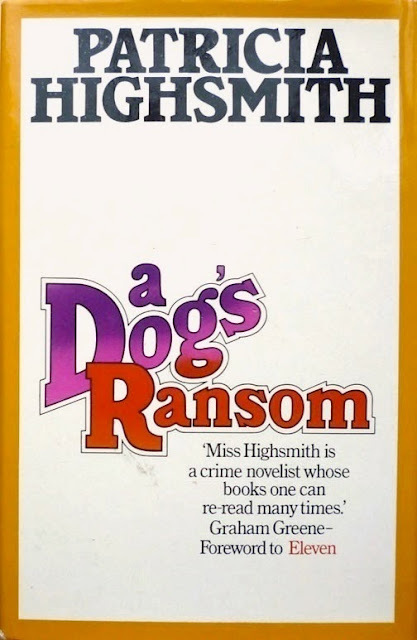 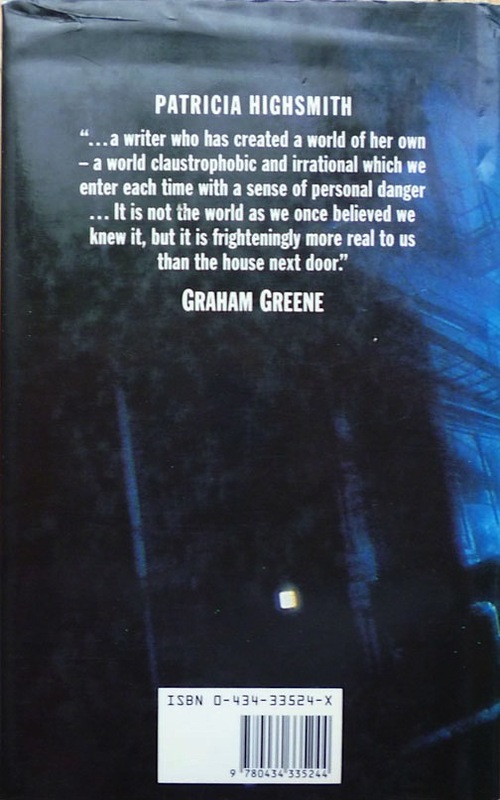 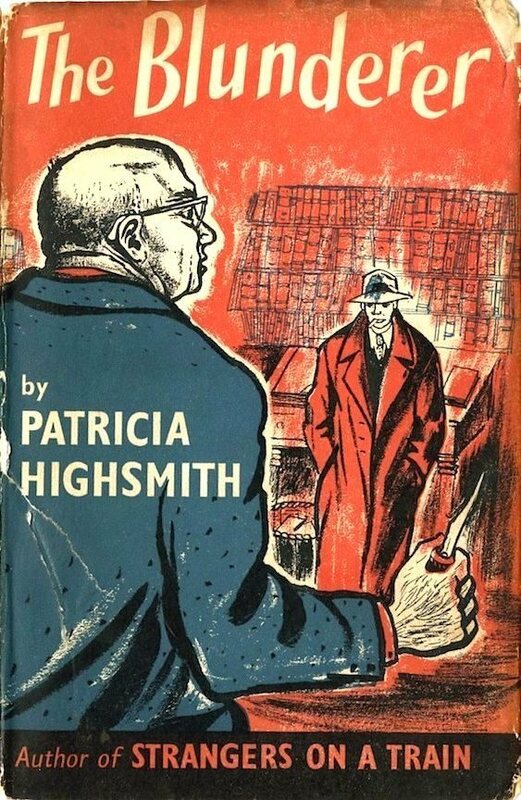 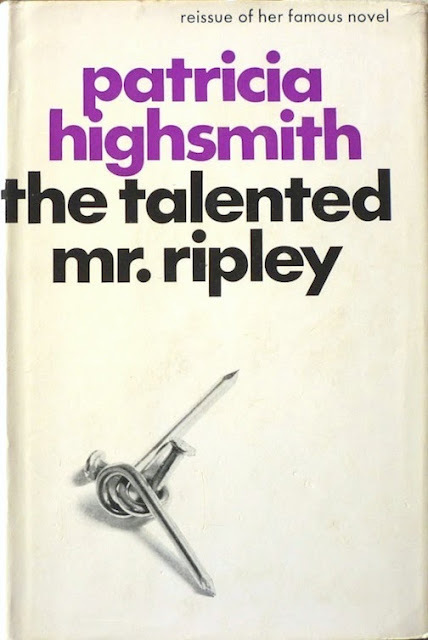 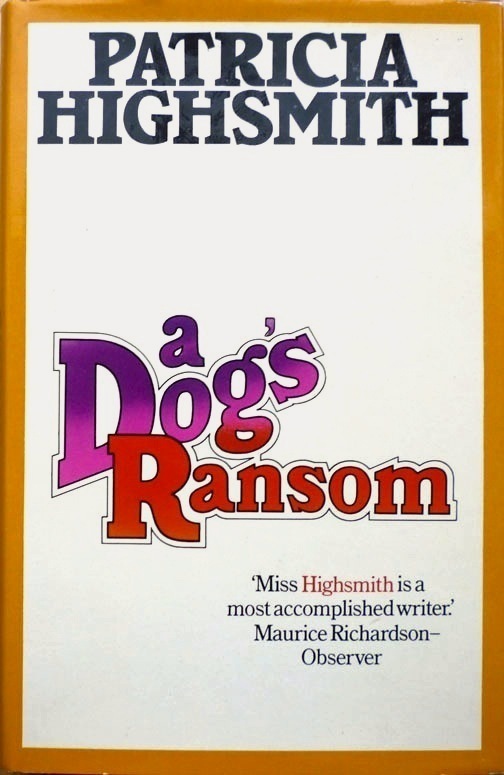 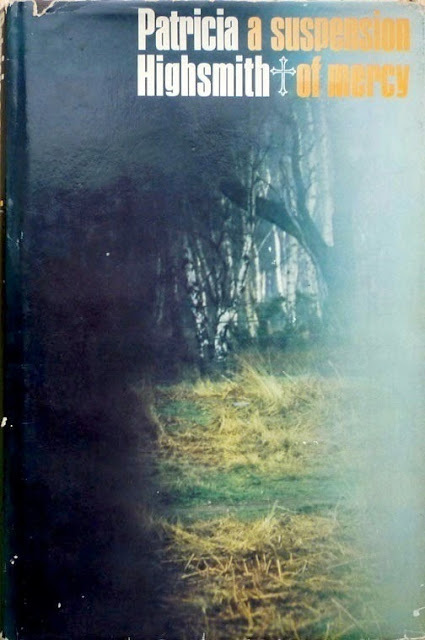 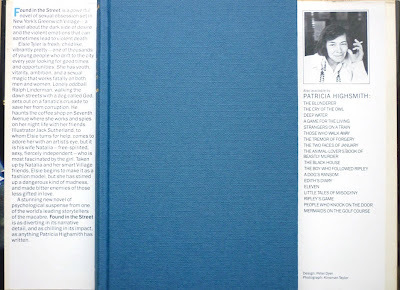 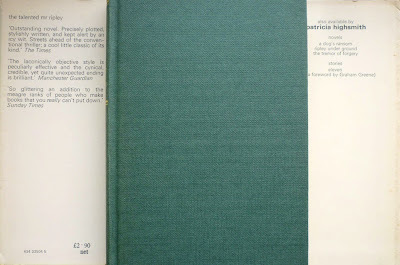 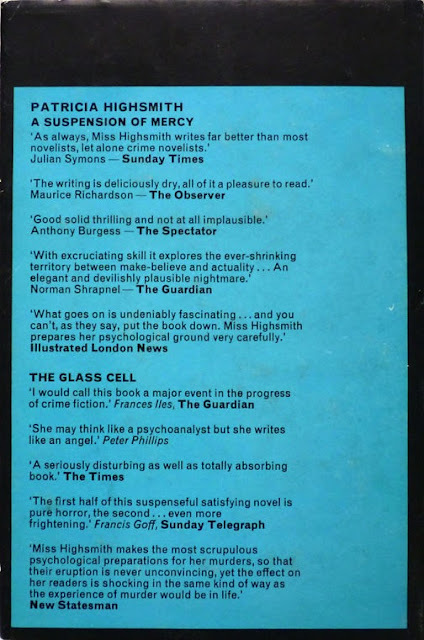 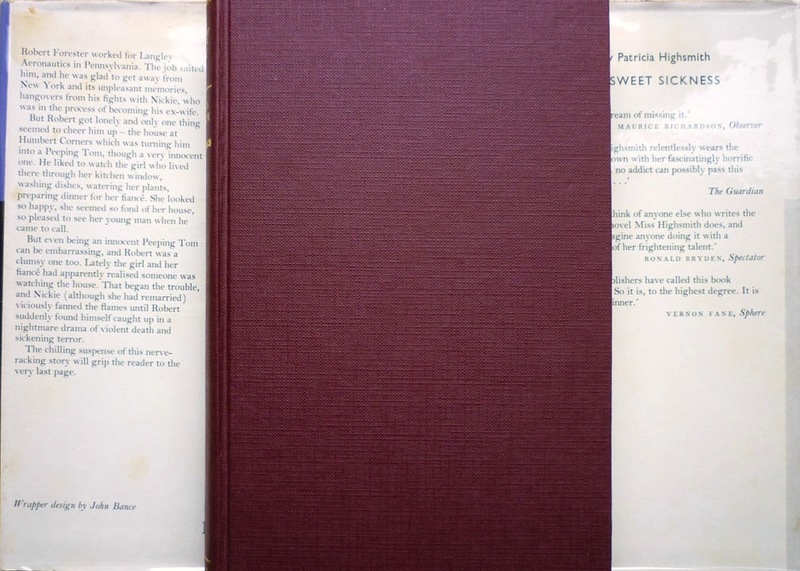 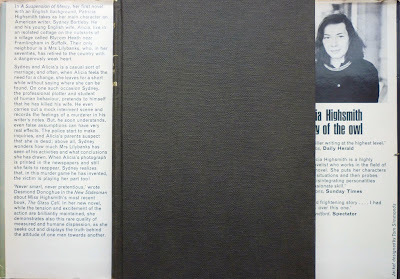 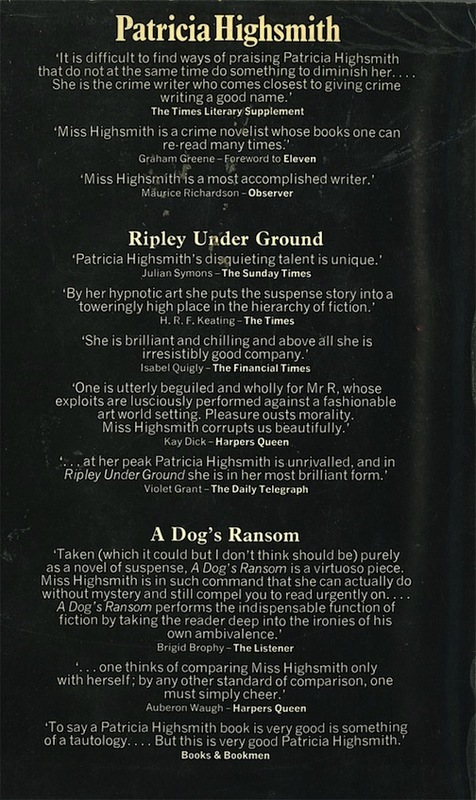 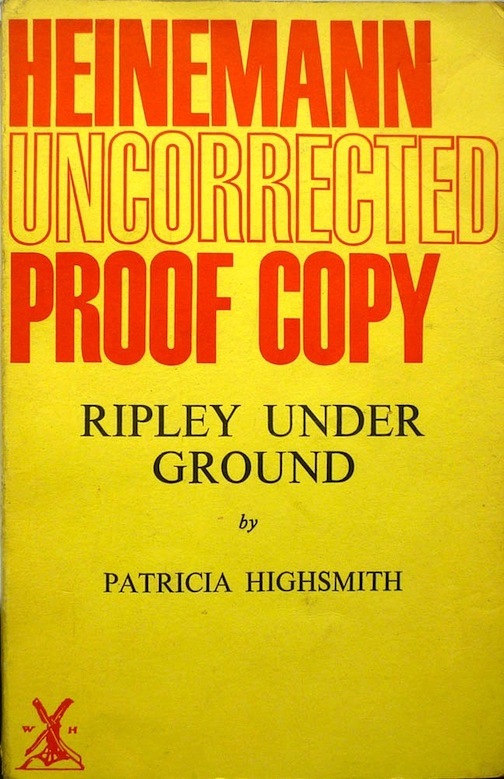 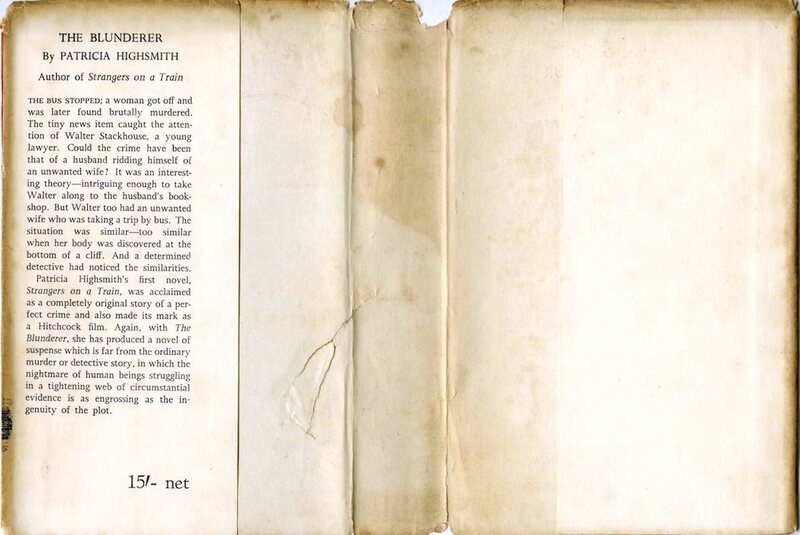 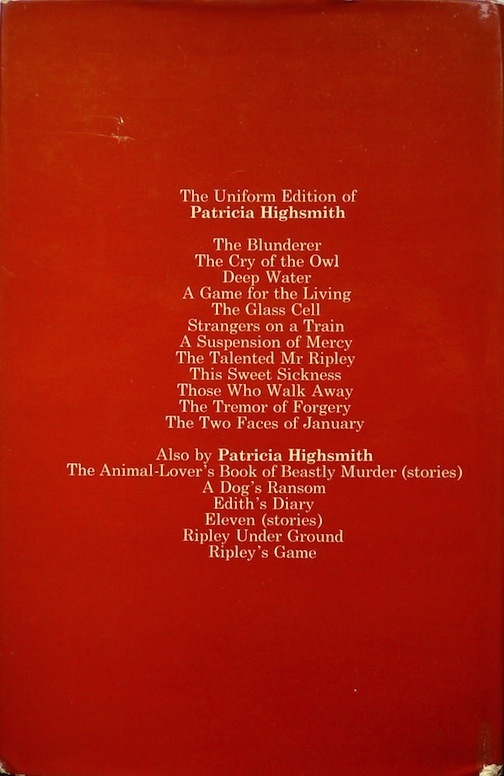 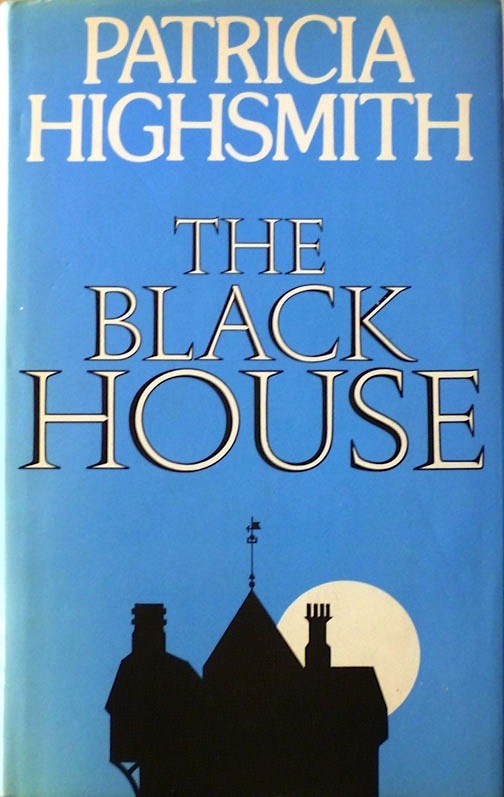 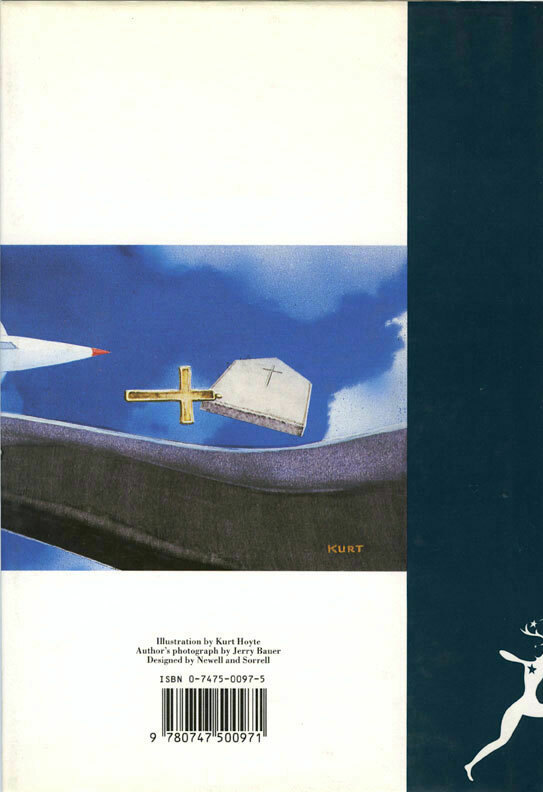 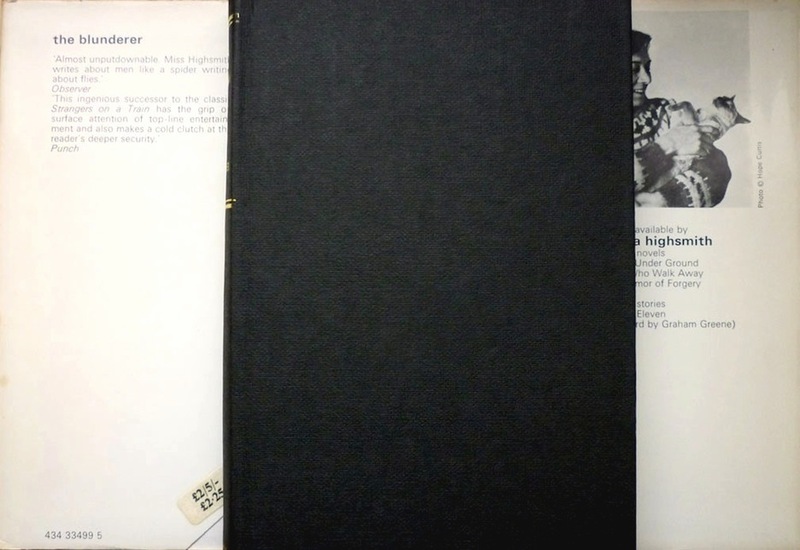 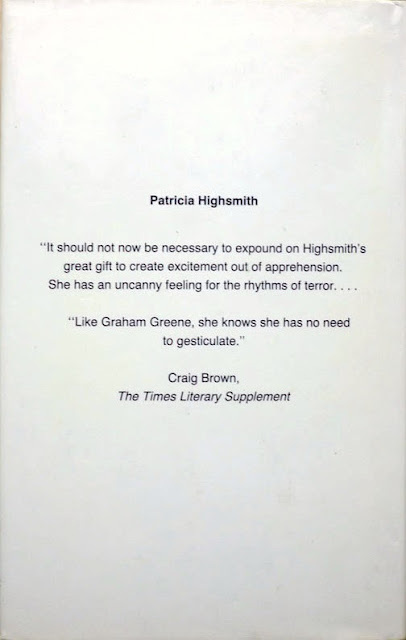 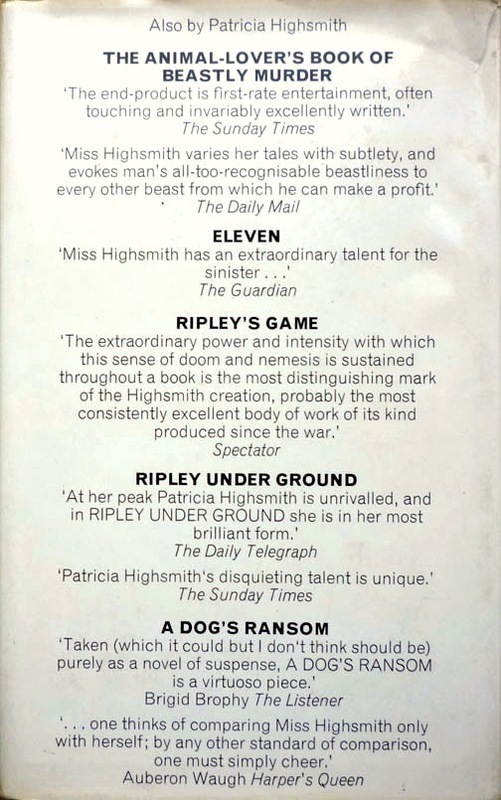 For around thirty years, from the late 1950s until the late 1980s, Patricia Highsmith's hardback publisher in the UK was William Heinemann Ltd. Heinemann issued sixteen of Highsmith's twenty-two novels and six of the seven short story collections published (in English) in her lifetime, and she remained with the publisher (her editor there was Janice Robertson) longer than any of other of her multitudinous hardback publishers, American or British (deep breath: Harper, Coward-McCann, Doubleday, Knopf, Simon & Schuster, Lippincott, Penzler, Atlantic Monthly Press, Norton, Cresset Press or Bloomsbury; phew). 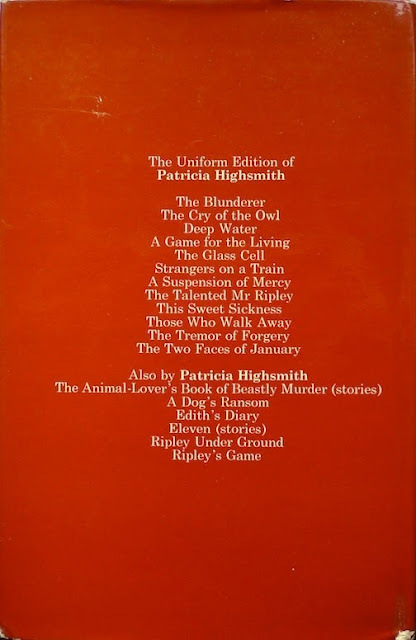 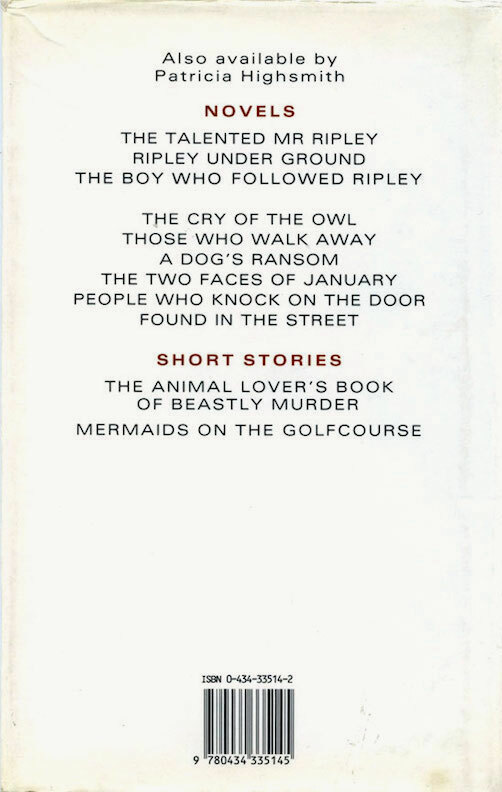 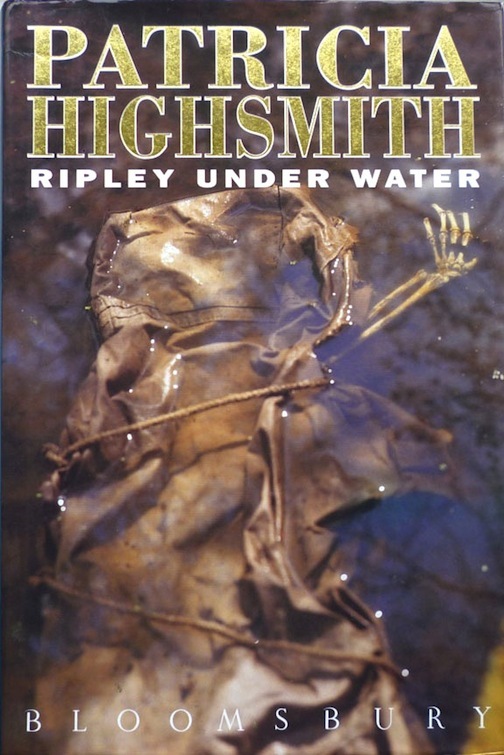 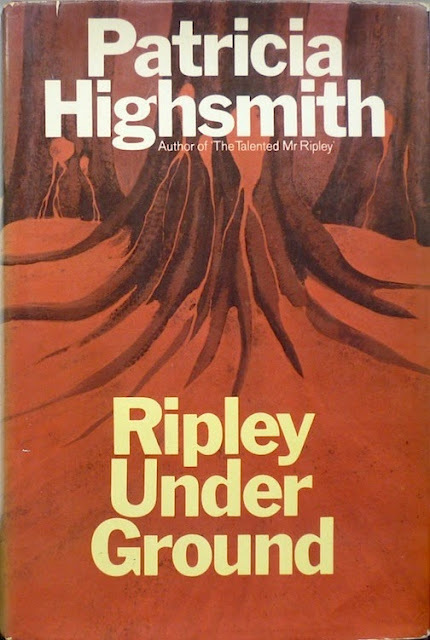 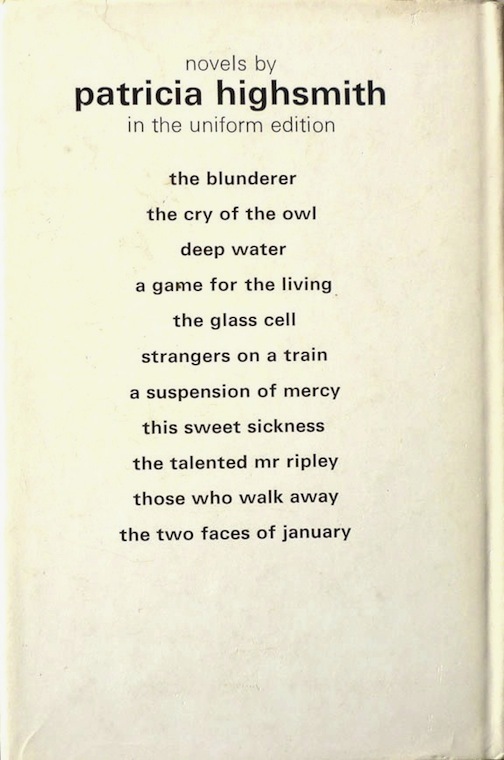 Arguably, Heinemann issued her best work – Deep Water, This Sweet Sickness, The Cry of the Owl, The Tremor of Forgery, Ripley Under Ground, Ripley's Game... the list goes on. 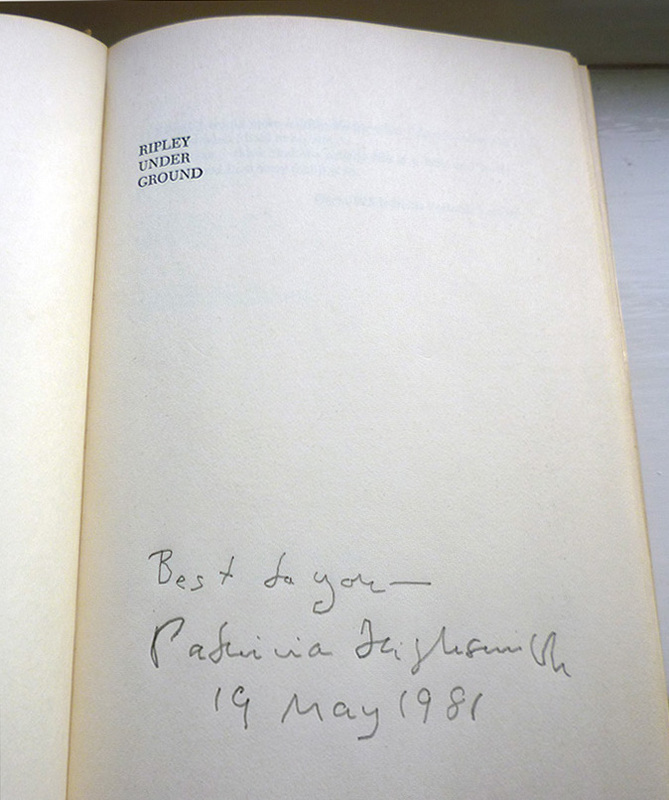 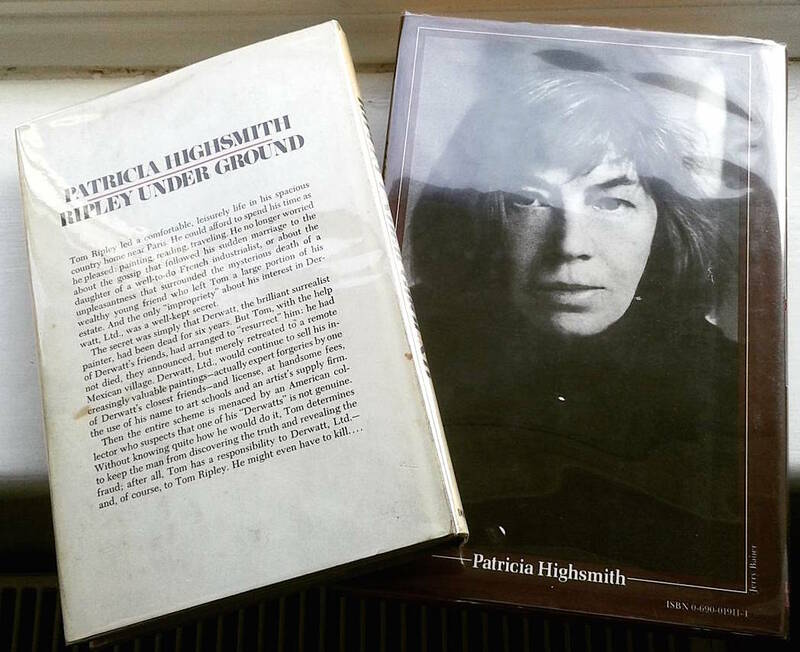 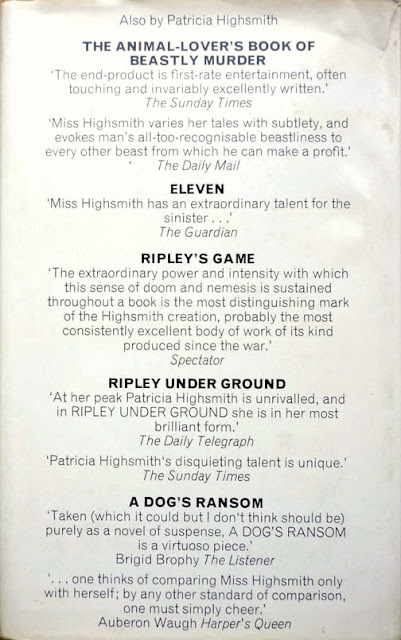 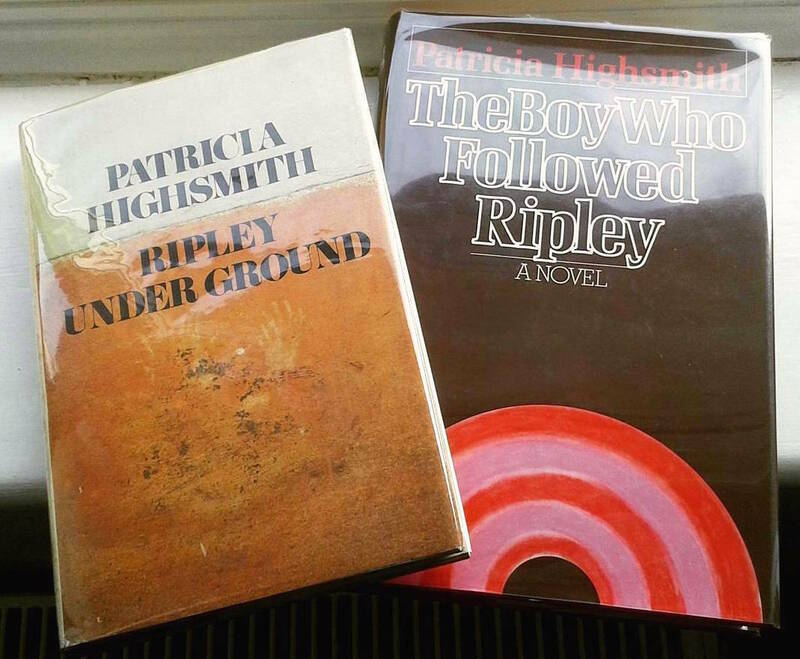 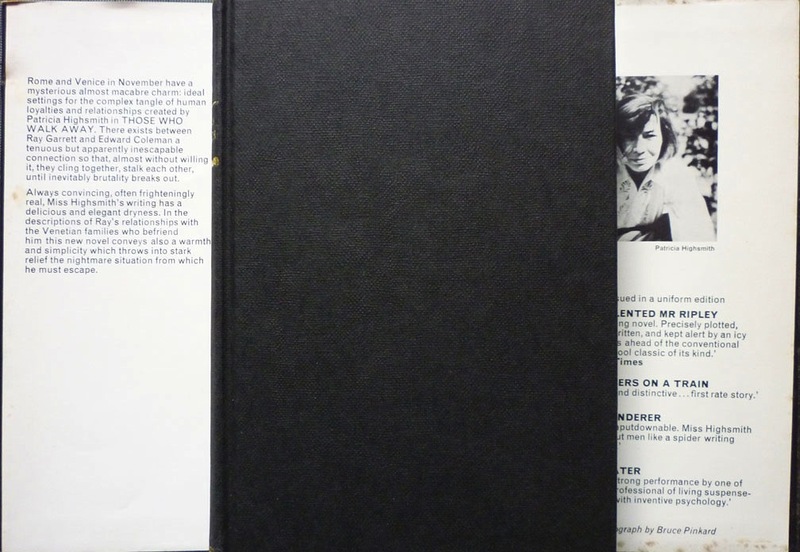 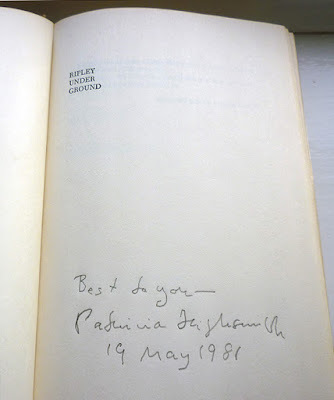 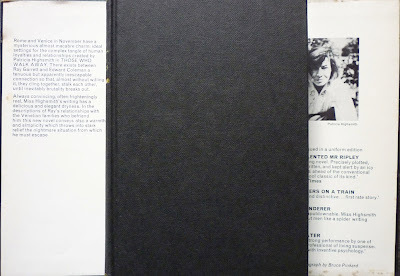 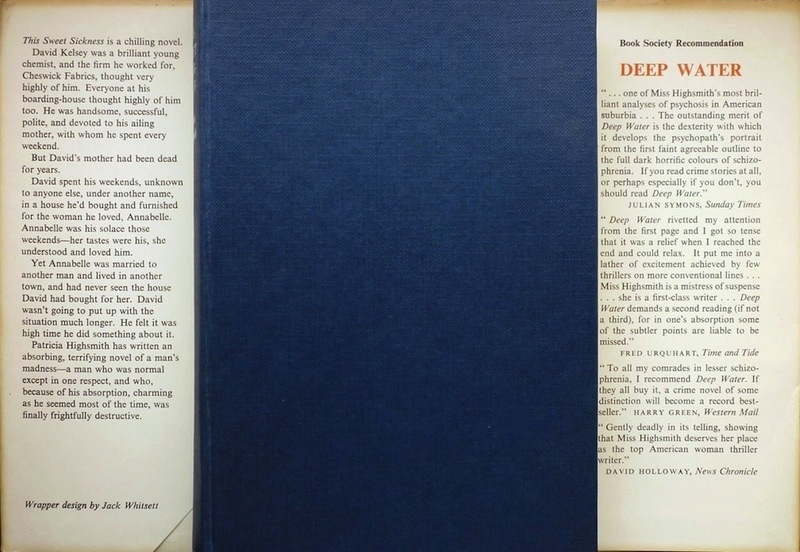 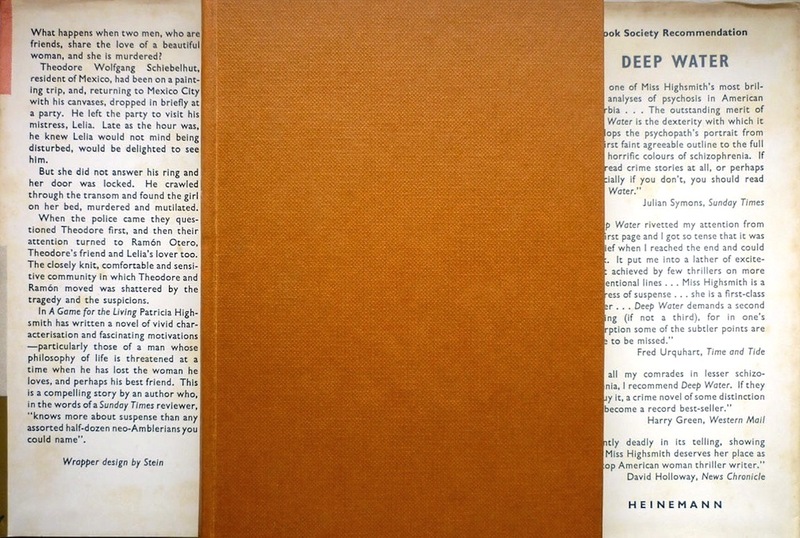 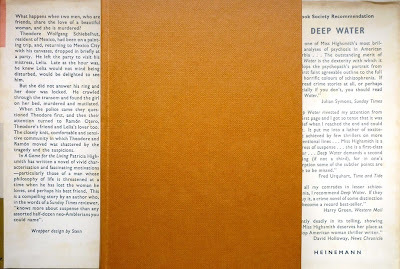 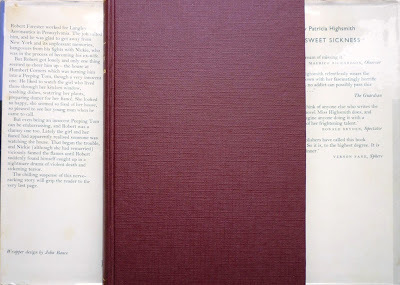 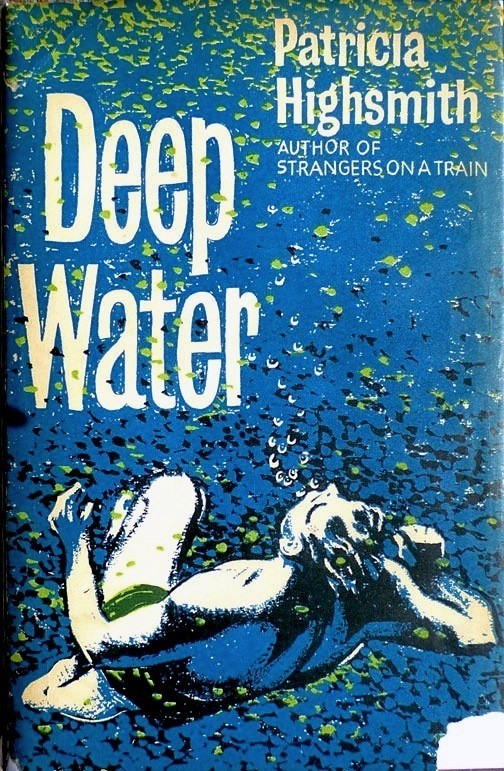 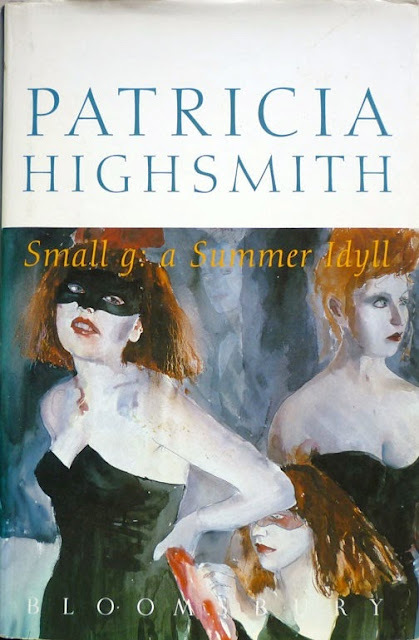 Having collected Patricia Highsmith in first edition for well over five years – and having read her for a lot longer; she's one of my favourite writers – in August 2013 I finally completed my collection of Heinemann firsts of her novels, with the 1958 Heinemann edition of Deep Water. 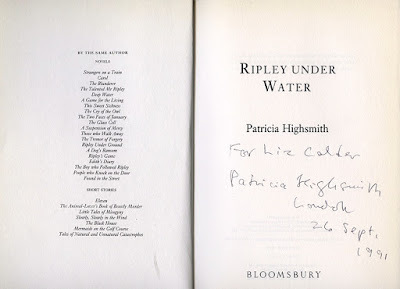 And since I also own British first editions of her final few novels (published by Bloomsbury in the UK), and it's unlikely I'll get my hands on British first editions of her initial few novels anytime soon* (Strangers on a Train, The Blunderer and The Talented Mr. Ripley, all of which were published by Cresset Press in the UK, and all of which are quite pricey in first; I'll have to make do with my Corgi and Pan paperbacks for the foreseeable future), I figured the time was right to establish Existential Ennui's second permanent page: the Patricia Highsmith First Edition Book Cover Gallery. 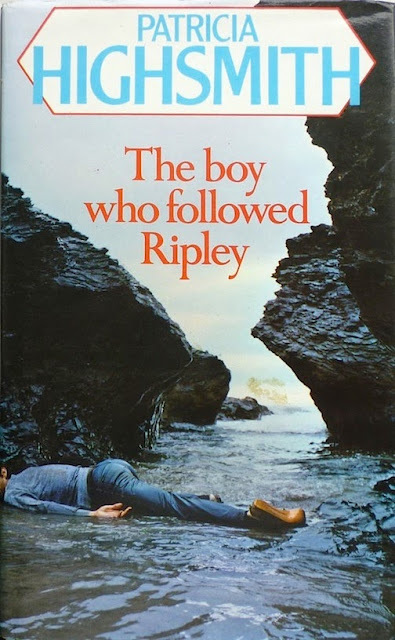 * In fact I did get my hands on firsts of The Blunderer and The Talented Mr. Ripley; see below. 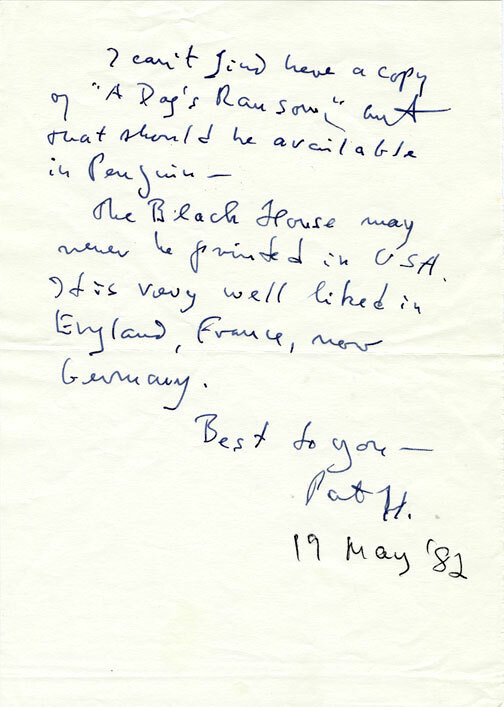 For more on the background to the gallery, click here. 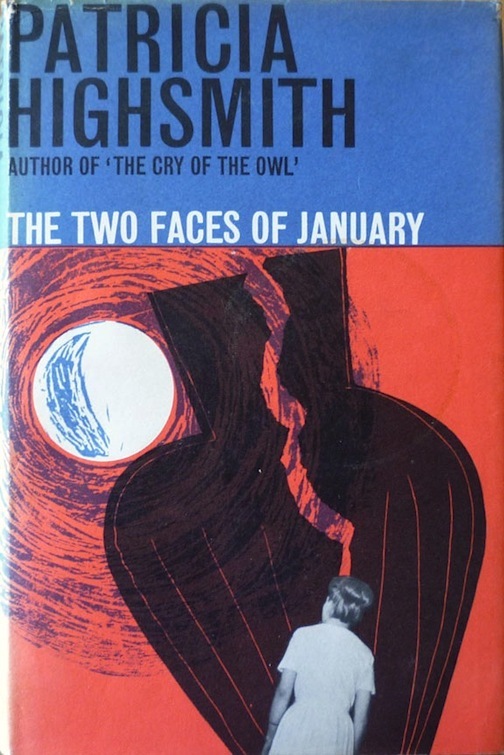 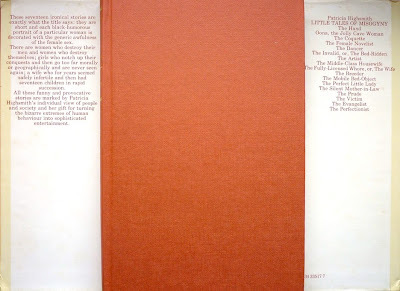 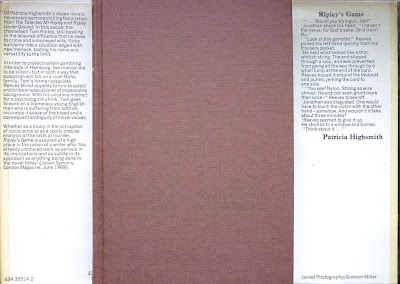 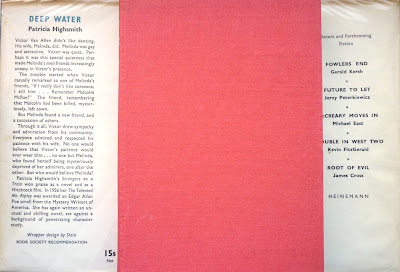 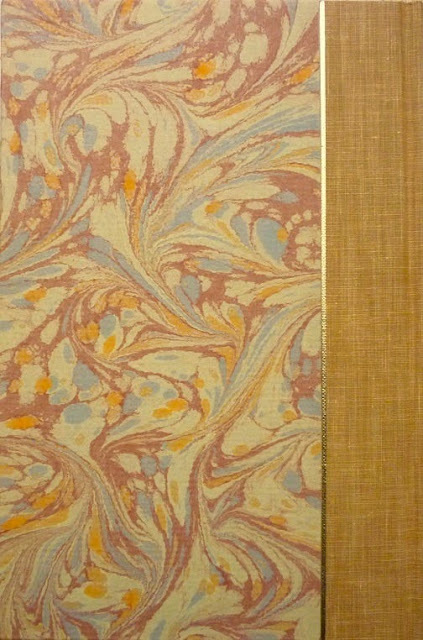 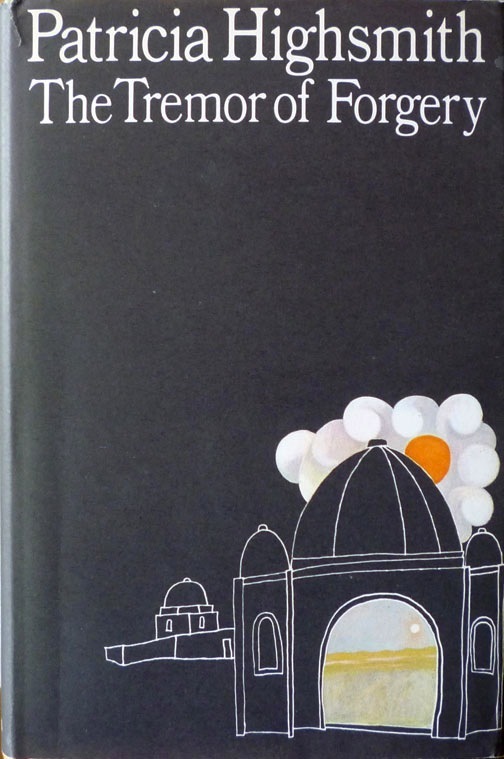 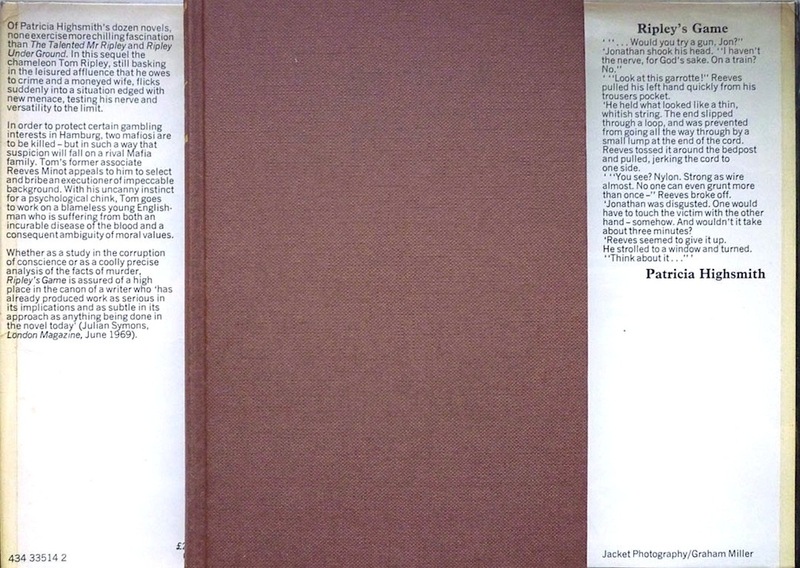 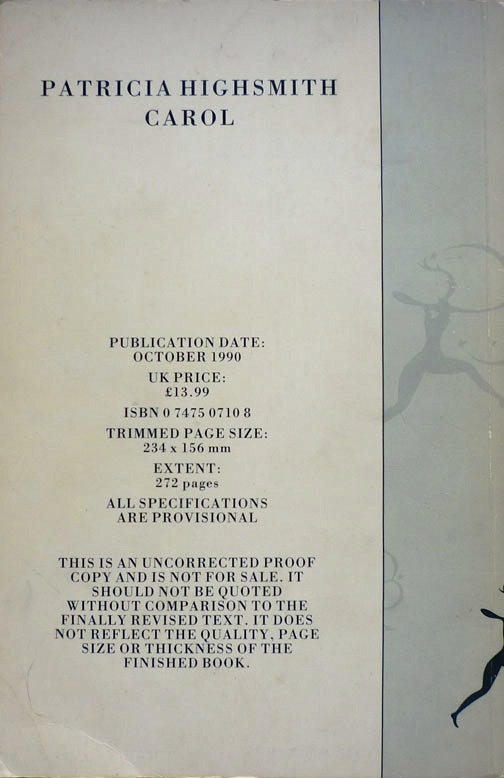 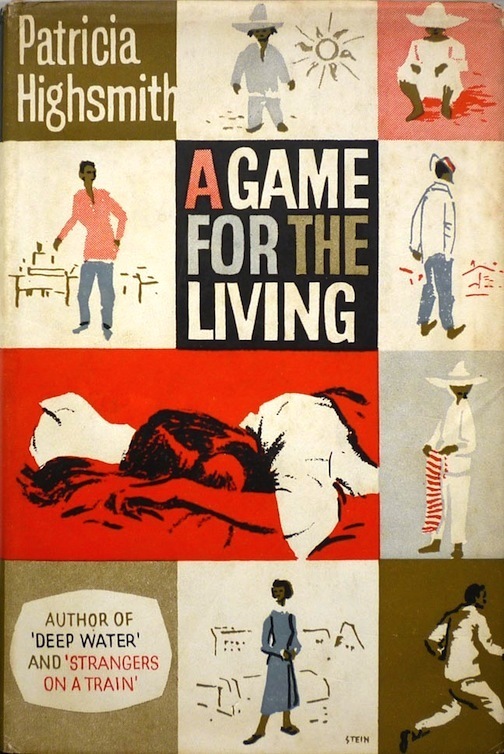 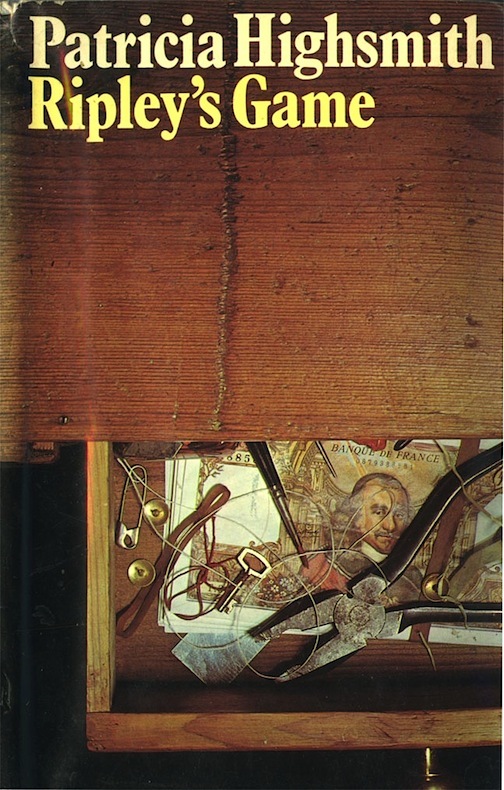 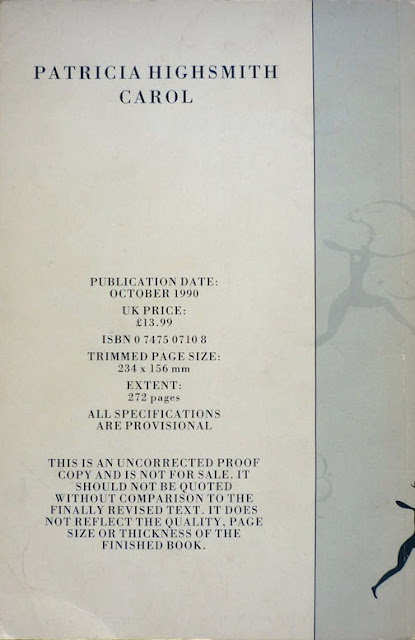 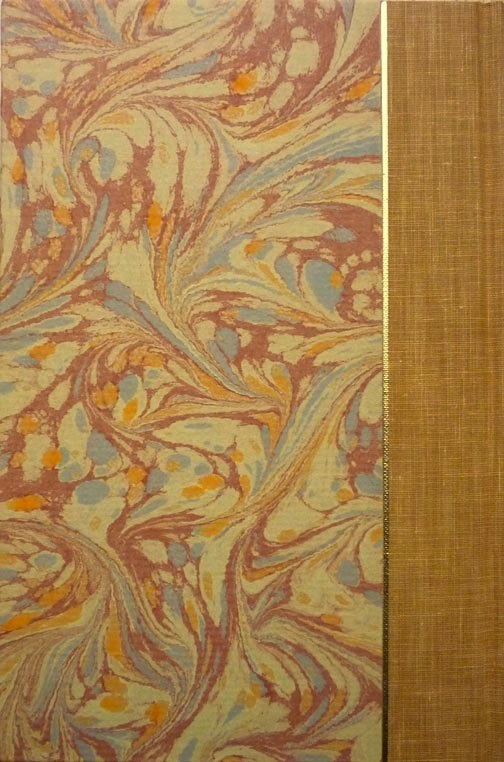 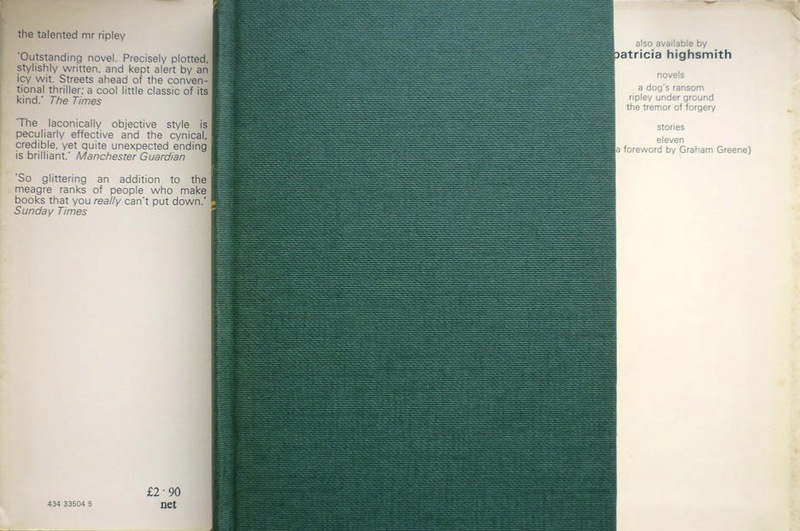 As with the Beautiful British Book Jacket Design of the 1950s and 1960s and British Book Cover Design of the 1970s and 1980s galleries, please link back to this page if you decide to 'borrow' any images from it. 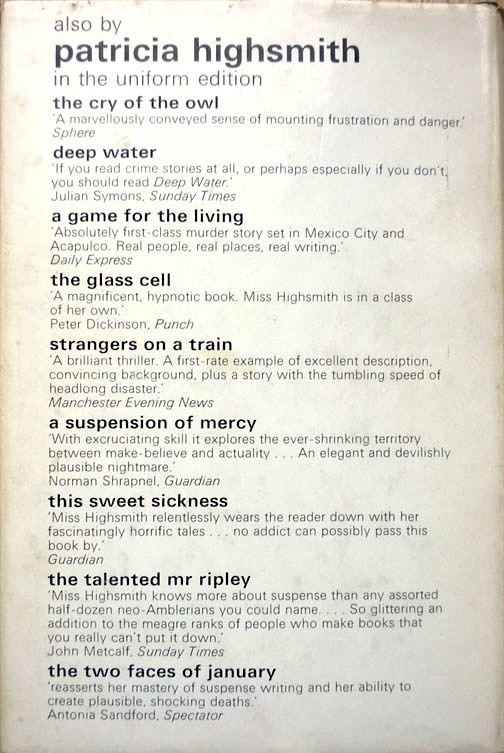 Oh, that collection is to die for. Some of those jacket photos of her are ones I've never seen at all. Thanks so much for posting. 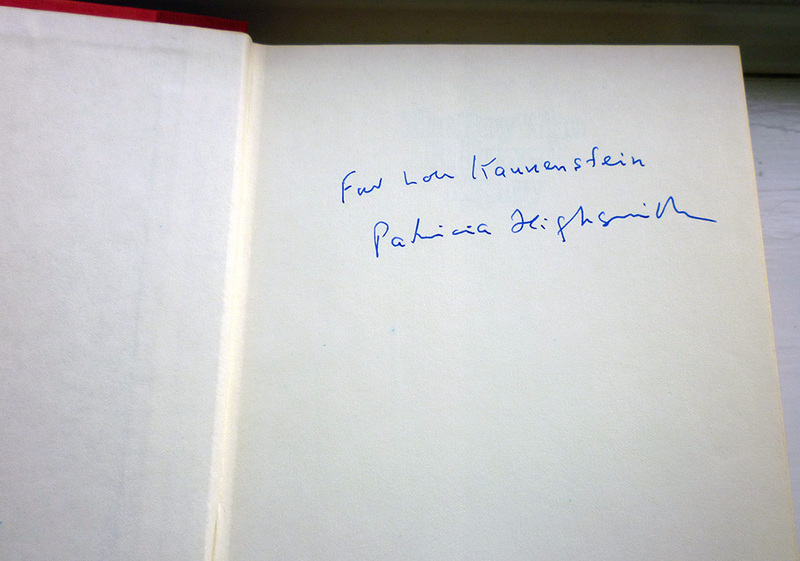 Well at least someone appreciates the effort I go to. 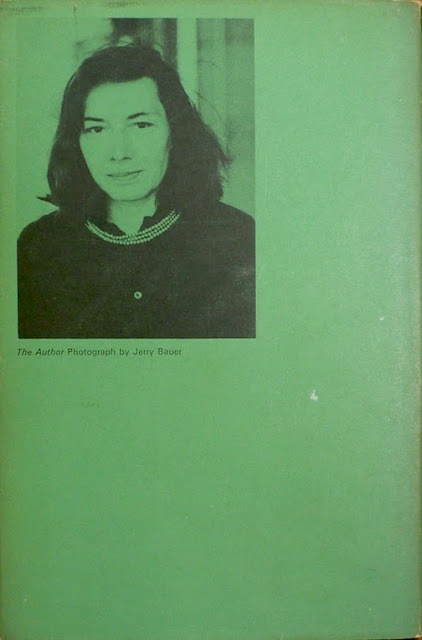 Thanks Kelly! 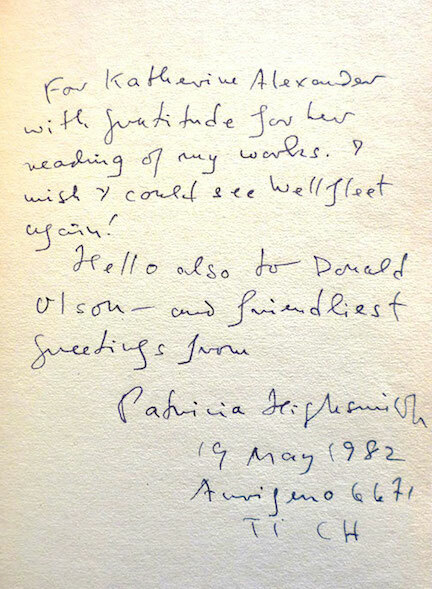 I appreciate it, too! 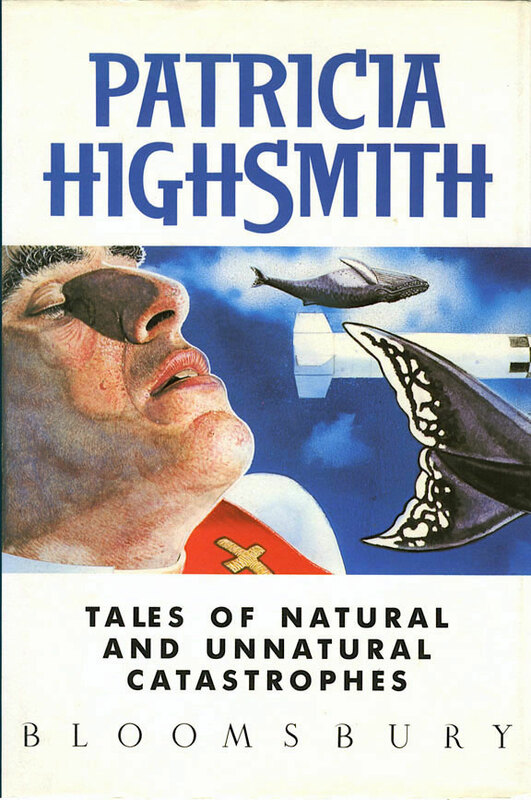 If you've not consumed Tales of Natural and Unnatural Catastrophes, you must. 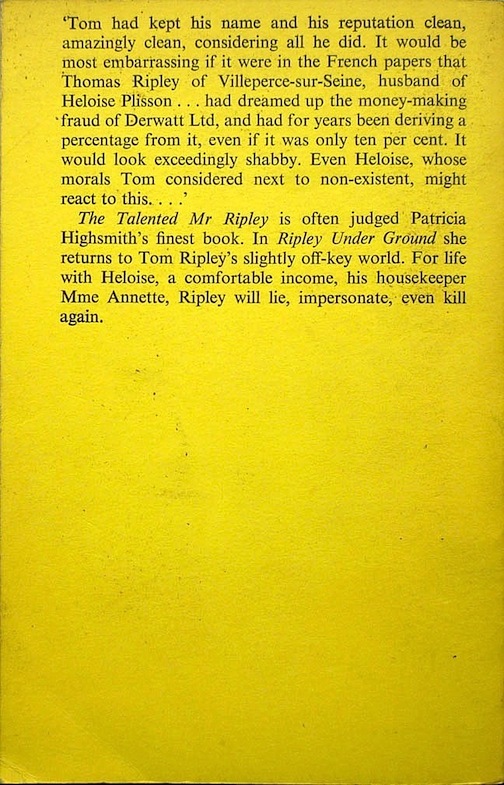 Simply prescient. 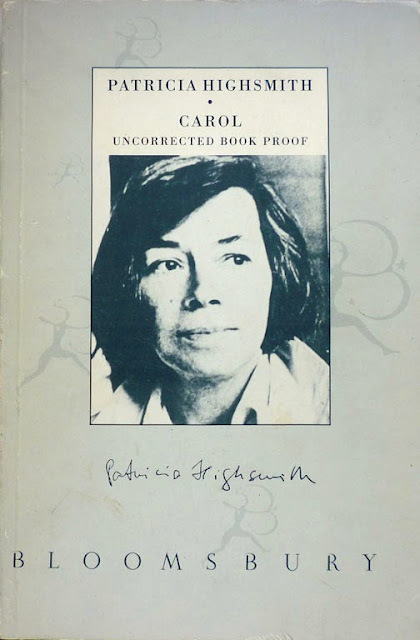 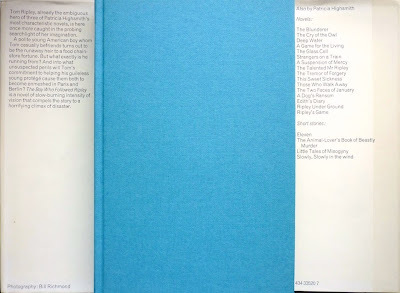 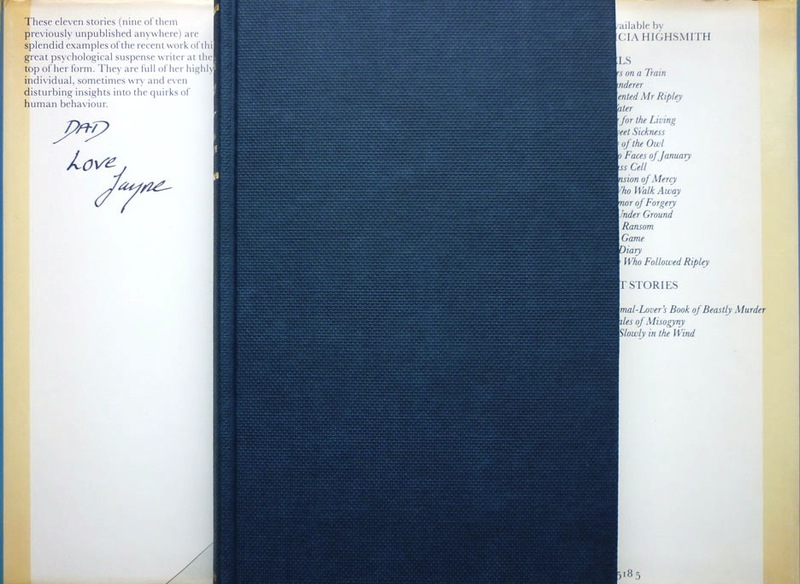 PS: In addition to your Carol reissue proof, have you any chance of getting the original, first edition (or proof) of The Price of Salt by Claire Morgan version? 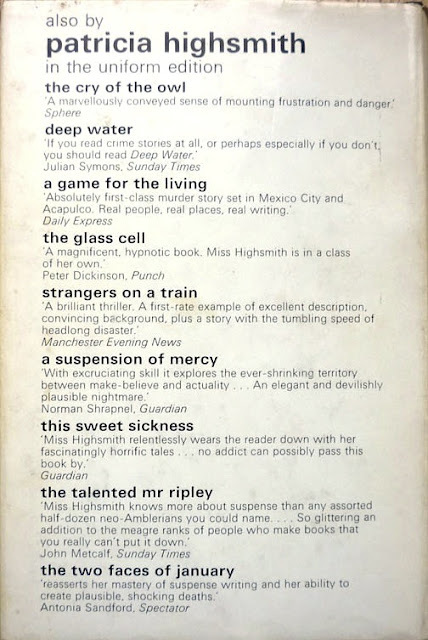 That I'd like to see! Sadly not, Marion – firsts of The Price of Salt are invariably priced way beyond my means! 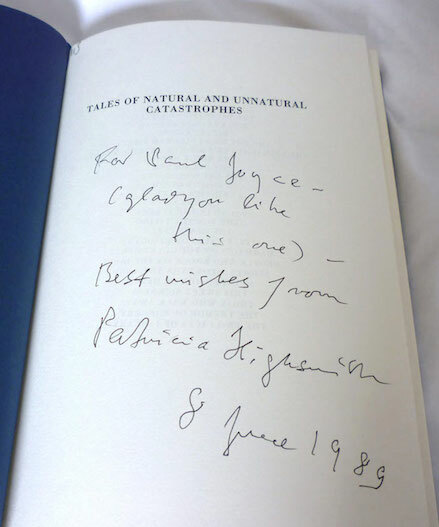 And Noted on Tales of Natural and Unnatural Catastrophes; I'll keep an eye out for it. 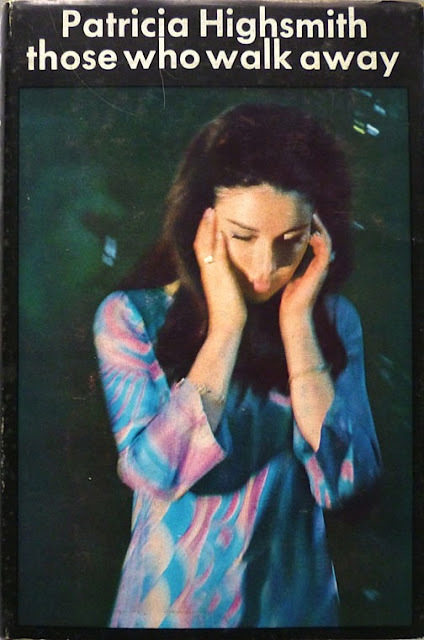 The author picture for The Glass Cell is amazing. Highsmith's hair is longer than I've ever seen it and she looks so young. 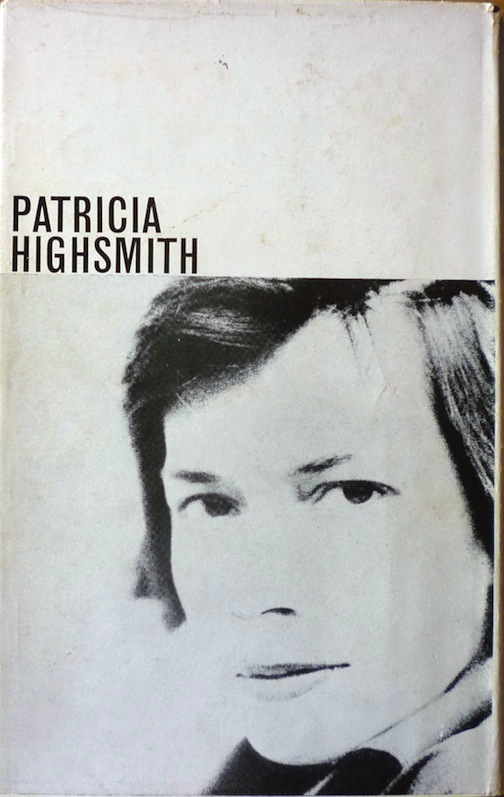 As we know from Joan Schenkar's recent biography, Highsmith aged quickly. Fascinating gallery of book covers. 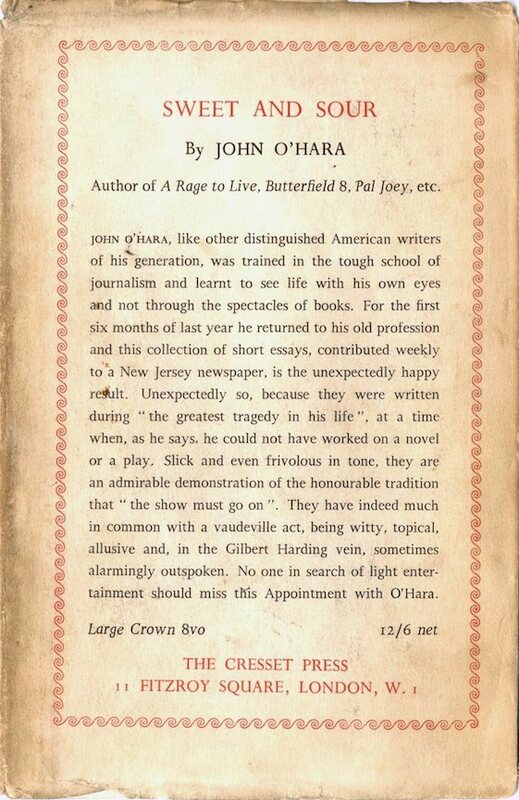 Thank you, Jorge. 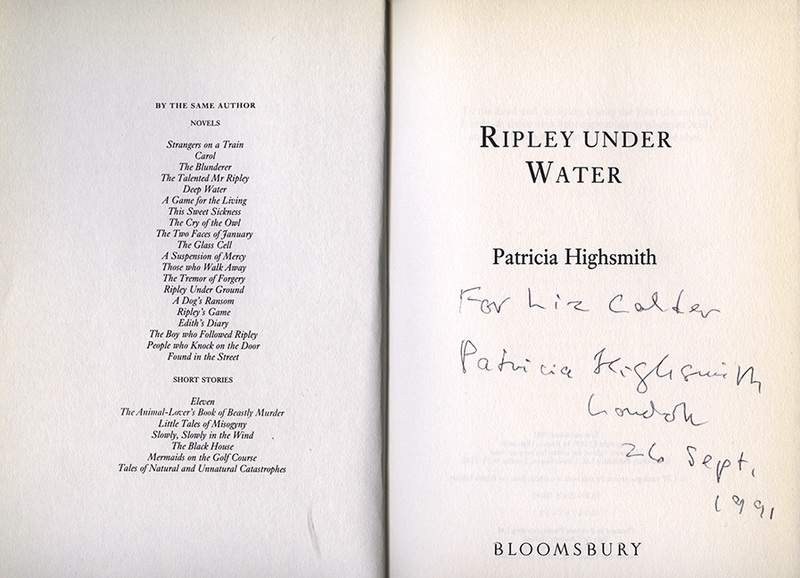 Glad you enjoyed it. I was reading your post on LeCarre's Secret Pilgrim, and wish to tell you that I believe for all of his books published by Knopf from Tinker Tailor onward, the U.S. edition is the true first, usually by just a few days. 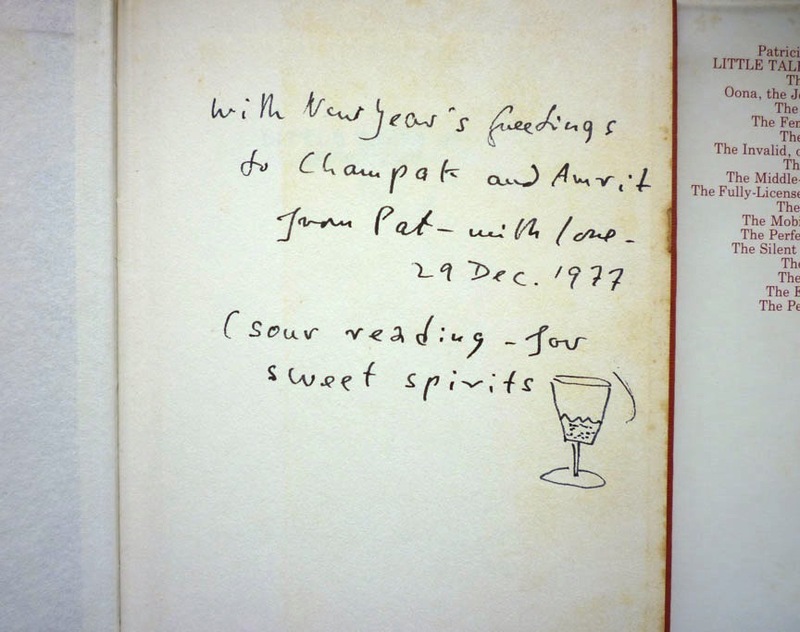 I believe this was by arrangement. 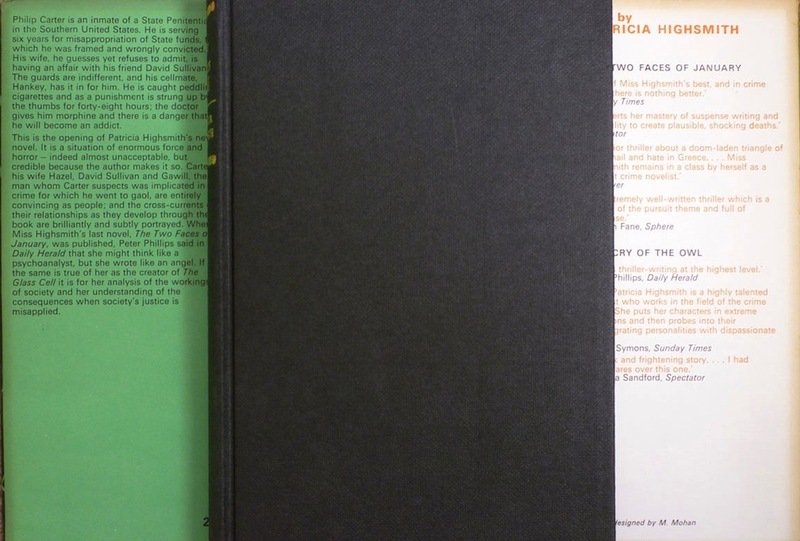 Contact me if you want more info. Simply Breathtaking! Fine Job assembling your library! 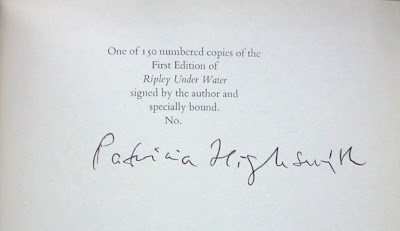 Thank You so very much for sharing! 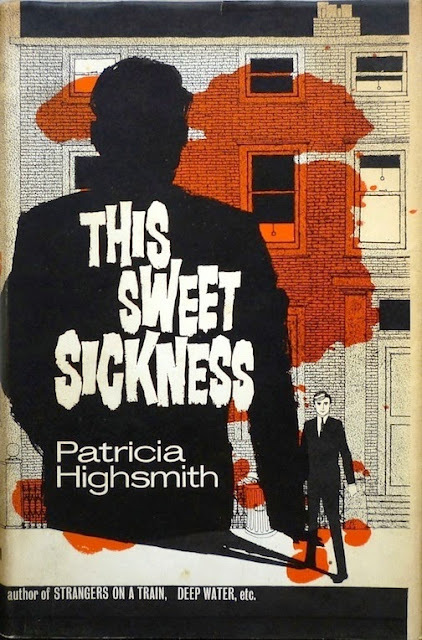 A sincere and inspiring site for all Highsmith aficionados ! ESSENTIAL SITE Keep up the Great work!